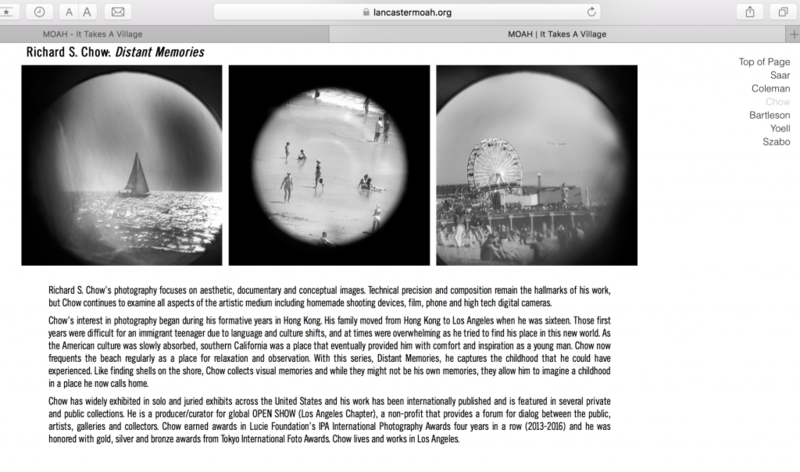 Very honored to have received a review of my Exhibit of “Distant Memories” at the Lancaster Museum of Art and History, MOAH – IT TAKES A VILLAGE. The opening was well attended and thank you to each of my old/new friends who visited. Click here for the entire review. Thanks to Genie Davis and Art and Cake. 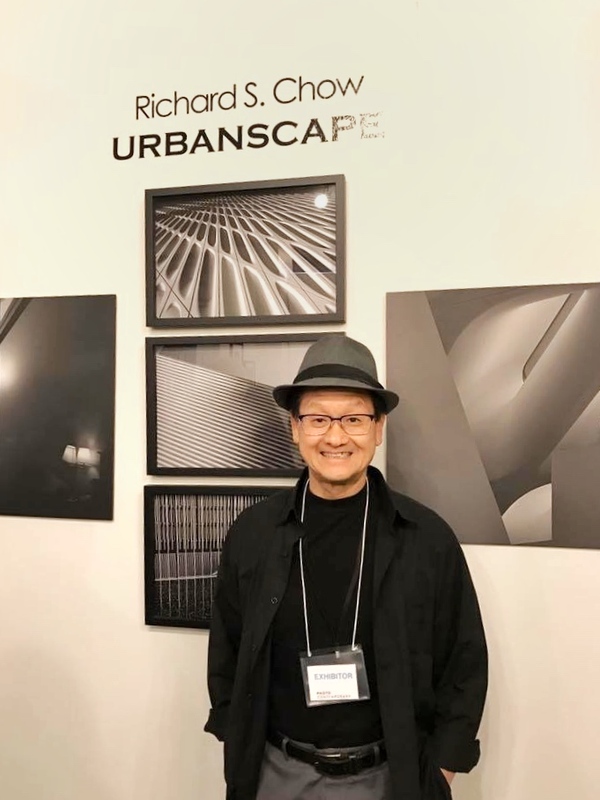 Richard S. Chow is honored to have his solo exhibit at the North Gallery of MOAH, as part of the IT TAKES A VILLAGE event from February 10 to April 22. He is presenting his fine art photography series “Distant Memories,” debut new work and unique installation never before seen. His limited edition books will be available at the Museum store. 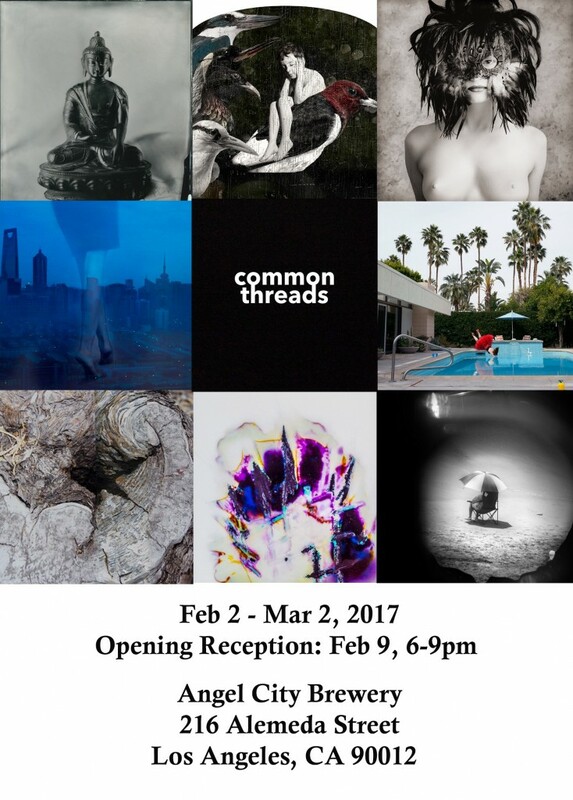 Complementary opening reception on Feb 10th 4-6pm PST. 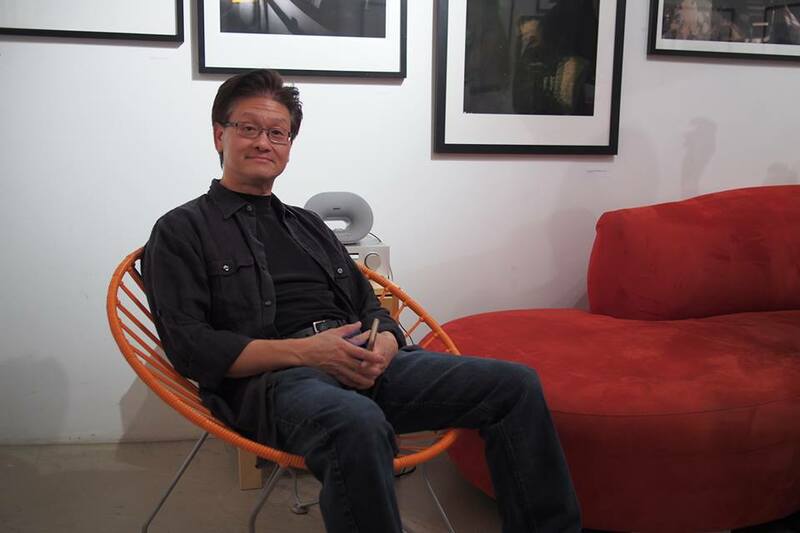 Richard S. Chow will lead an artist talk and tour of his work on February 25 beginning at 1 p.m. PST. Los Angeles, CA, February 05, 2018 –(PR.com)– The Lancaster Museum of Art and History (MOAH) is proud to celebrate Black History month with the presentation of It Takes a Village. This exhibition opens to the public with a free reception on Saturday, February 10, from 4 to 6 p.m. and will run through Sunday, April 22. 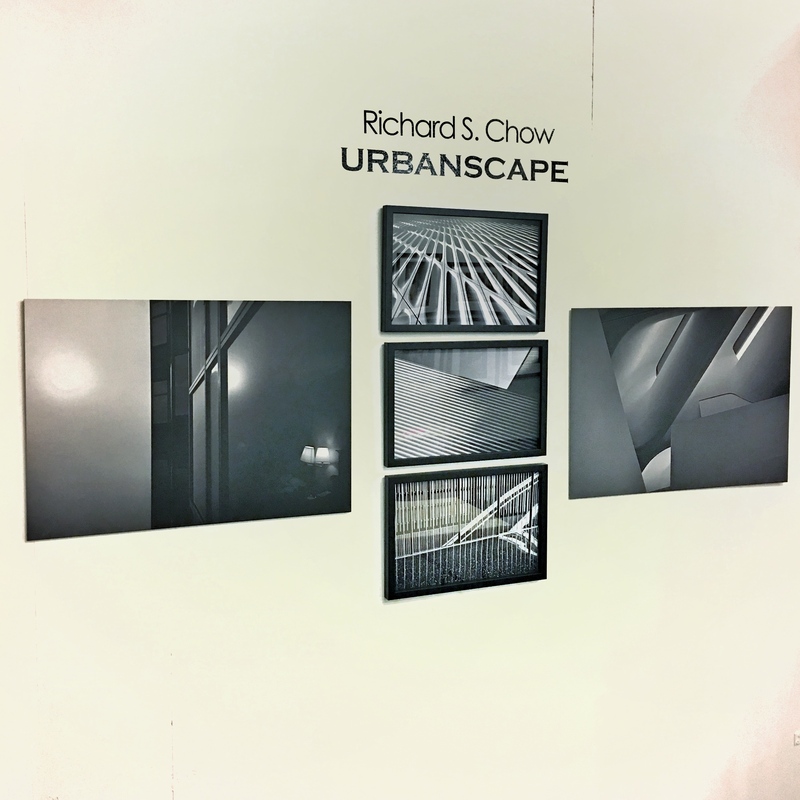 Richard S. Chow’s photography focuses on aesthetic, documentary and conceptual images. 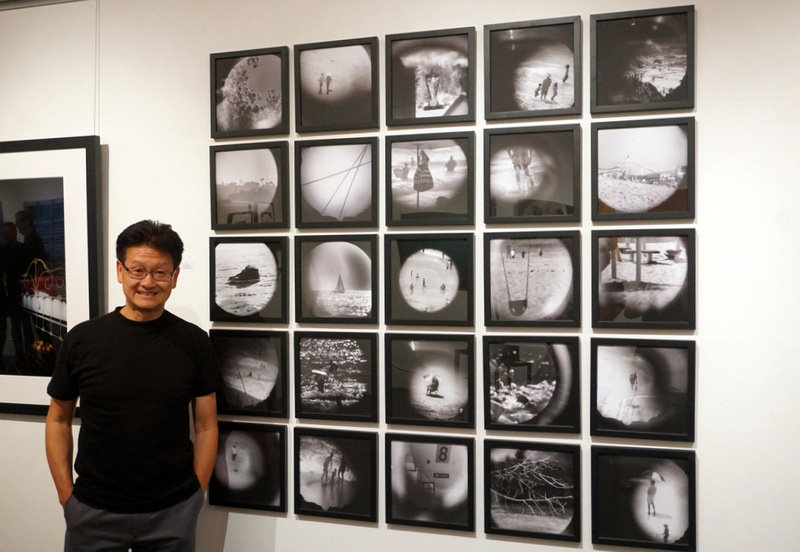 Technical precision and composition remain the hallmarks of his work, but Chow continues to examine all aspects of the artistic medium including homemade shooting devices, film, phone and high tech digital cameras. 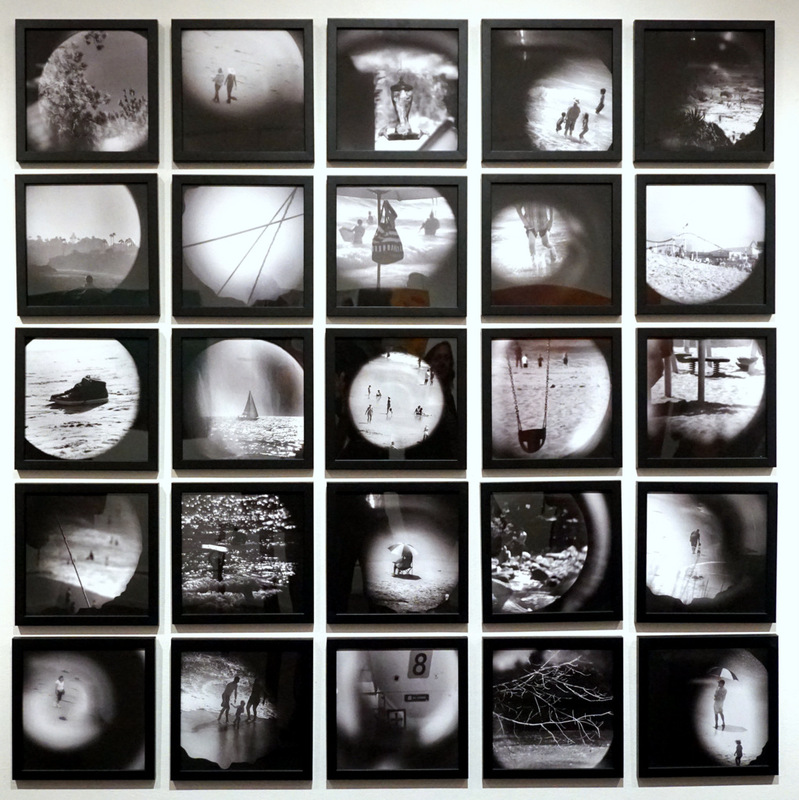 Chow’s interest in photography began during his formative years in Hong Kong. His family moved from Hong Kong to Los Angeles when he was sixteen. Those first years were difficult for an immigrant teenager due to language and culture shifts, and at times were overwhelming as he tried to find his place in this new world. As the American culture was slowly absorbed, southern California was a place that eventually provided him with comfort and inspiration as a young man. 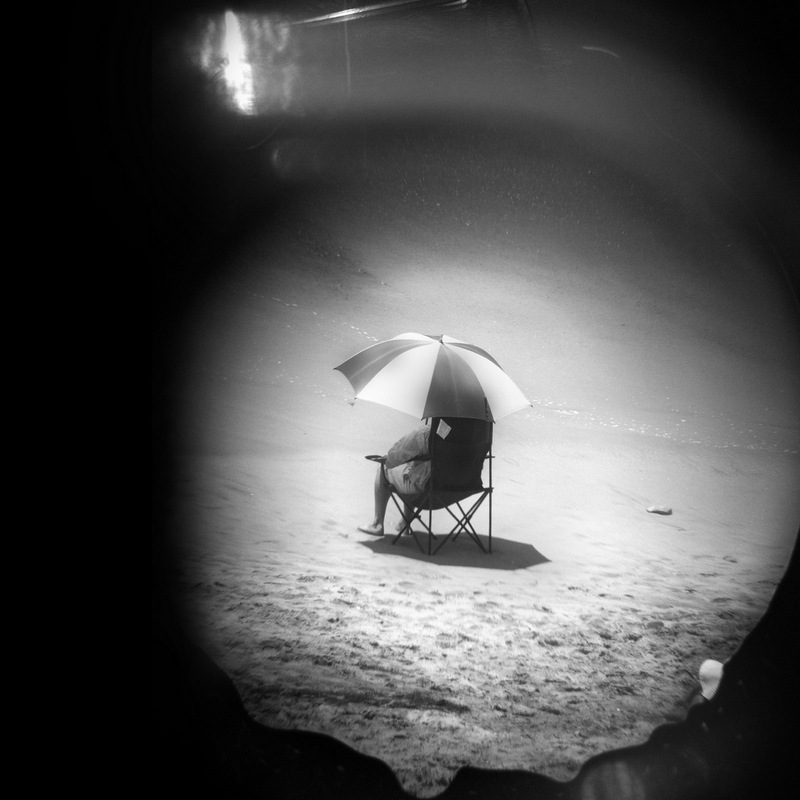 Chow now frequents the beach regularly as a place for relaxation and observation. 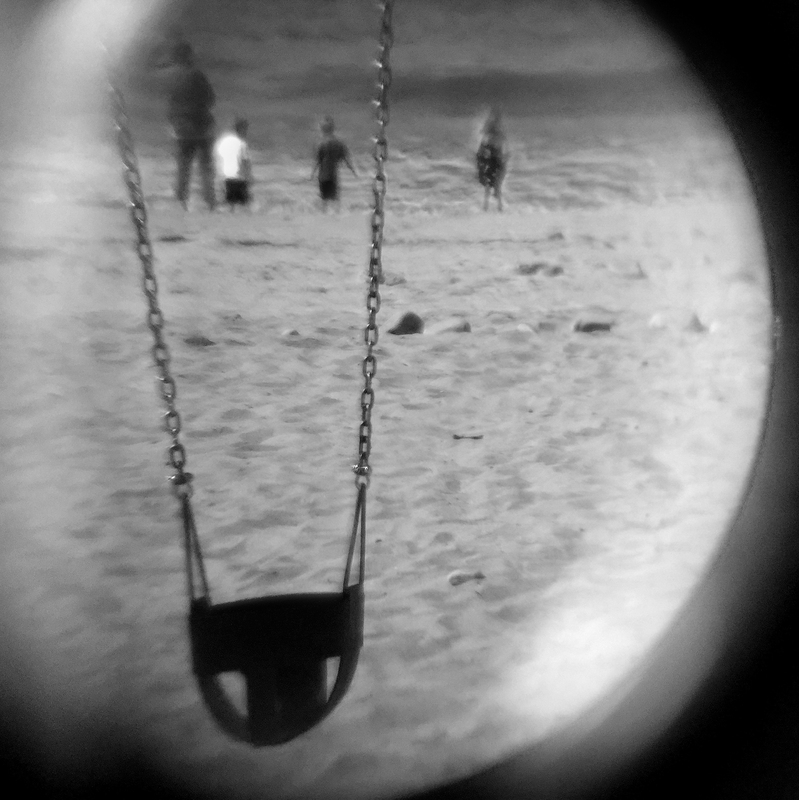 With this series, Distant Memories, he captures the childhood that he could have experienced. 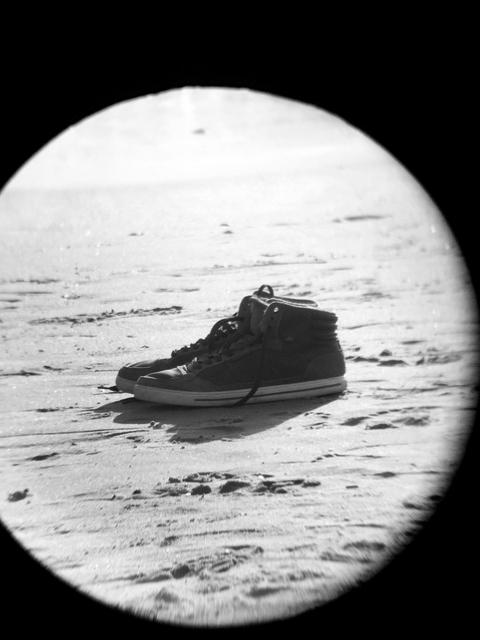 Like finding shells on the shore, Chow collects visual memories and while they might not be his own memories, they allow him to imagine a childhood in a place he now calls home. Chow has widely exhibited in solo and juried exhibits across the United States and his work has been internationally published and is featured in several private and public collections, most recently collected by the American Hotels in Los Angeles. He is a producer/curator for global OPEN SHOW (Los Angeles Chapter), a non-profit that provides a forum for dialog between the public, artists, galleries and collectors. 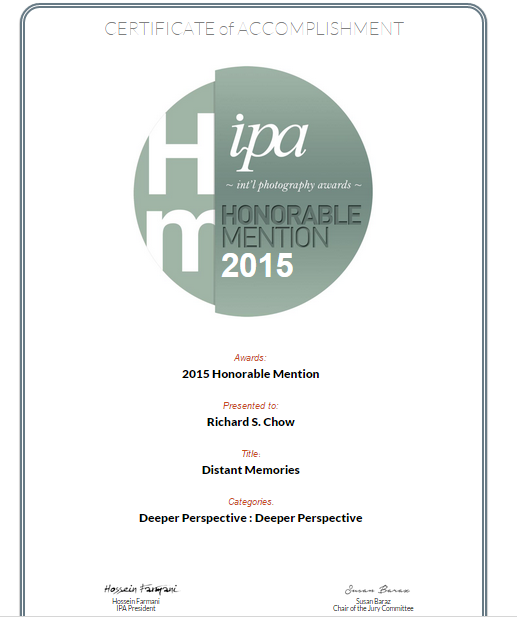 Chow earned awards in Lucie Foundation’s IPA International Photography Awards five years in a row (2013-2017) and he was honored with gold, silver and bronze awards from Tokyo International Foto Awards (TIFA). Chow lives and works in Los Angeles with his wife and son. 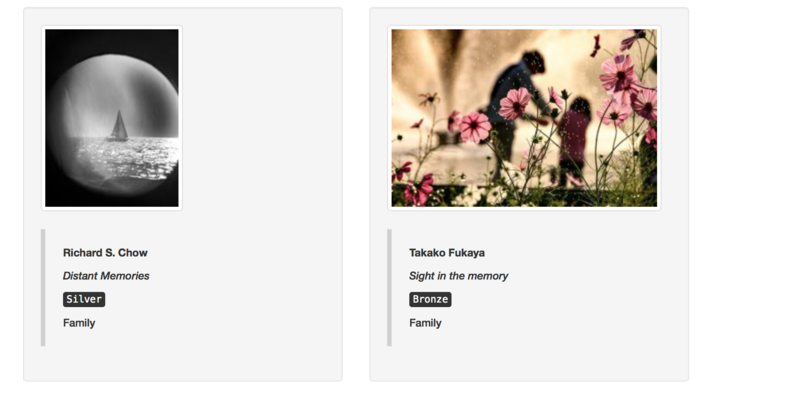 It Takes a Village is comprised of six exhibitions addressing the dynamic of working as a community through the subjects of family, race, gender, and age. Featured in the Main Gallery at MOAH are the works of celebrated assemblage artist Betye Saar and her daughters, artists Alison Saar and Lezley Saar. 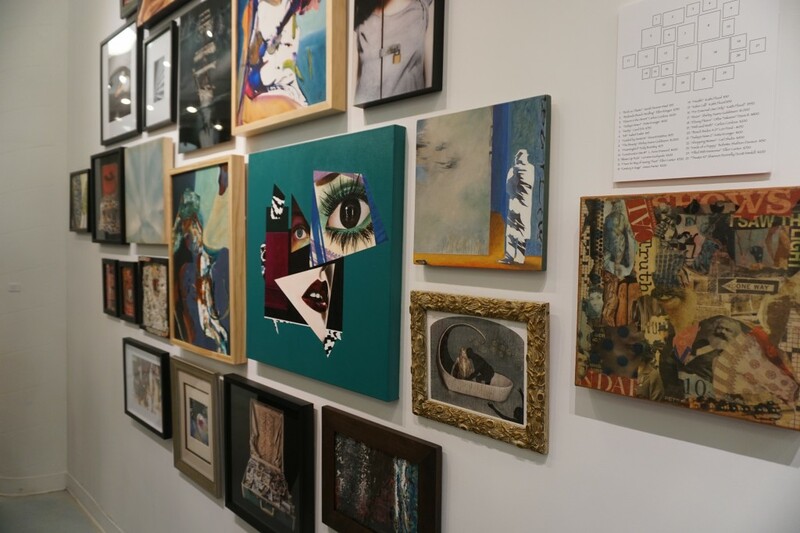 It Takes a Village will showcase solo exhibitions of Richard S. Chow, Wyatt Kenneth Coleman, and Jane Szabo, with site specific installations by artists Lisa Bartleson and Scott Yoell. Each of the artists featured in this exhibition explores the relationships and responsibilities of community. Betye, Alison, and Lezley Saar’s work consists of two and three-dimensional assemblages that examine history and identity through the juxtaposition of objects, photographs, mixed media, and fabric. The documentary photography of Lancaster resident Wyatt Kenneth Coleman chronicles the importance of engagement and oral history and the role it plays emphasizing the value of serving one’s community and family. Jane Szabo and Richard S. Chow present different work stylistically, but address similar themes of home, displacement, and sentimentality through conceptual photographs. Szabo records family history through objects while Chow’s images fabricate an imaginary history of what might have been if he had not been an immigrant. Lisa Bartleson’s large scale installation of hundreds of small hand-made houses explores the act of healing through community and engagement. The site specific work of Scott Yoell’s “Tsunami,” consisting of three thousand four-inch tall businessmen figures installed in a giant wave, represents the artist’s thoughts on the global economy and automation. In addition to the regularly scheduled community engagement programs that MOAH, MOAH:CEDAR, and the Western Hotel Museum offer, this exhibition will include an artist talk and tour by local Civil Rights photographer Wyatt Kenneth Coleman on Sunday, February 18 at 2 p.m. Richard S. Chow will lead an artist talk and tour of his work on February 25 beginning at 1 p.m. A book signing and artist panel discussion with the Saar family and Dr. Betty Brown will take place on Sunday, March 25 from 12 to 2 p.m. This panel discussion will be immediately followed by an artist talk and tour by Jane Szabo beginning at 2 p.m. Other engagement opportunities brought to the Museum by the Center for Cultural Innovation include two workshops: Know Your Rights with the National Lawyers Guild, Saturday, February 17 at 2 p.m. and Making Art During Fascism with Beth Pickens, Saturday, February 24 at 2 p.m. 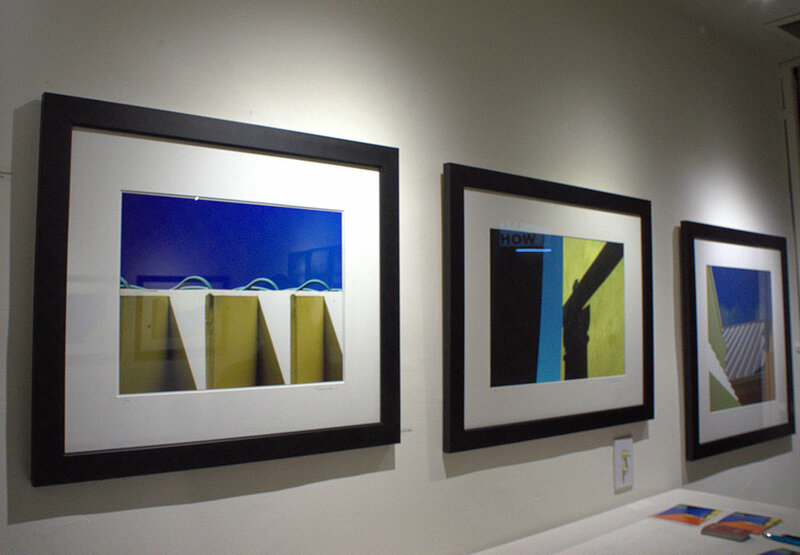 The Lancaster Museum of Art and History is dedicated to strengthening awareness, enhancing accessibility, and igniting appreciation of art, history, and culture in the Antelope Valley through dynamic exhibitions, innovative educational programs, creative community engagement, and a vibrant collection that celebrates the richness of the region. MOAH is open Tuesday – Sunday, from 11 a.m. to 6 p.m. with extended hours on Thursday until 8 p.m. For more information, visit www.lancastermoah.org or call (661) 723-6250. Please take a read… below. Link here to go the DIVERSIONSLA, Thank you! Get ready to evolve. 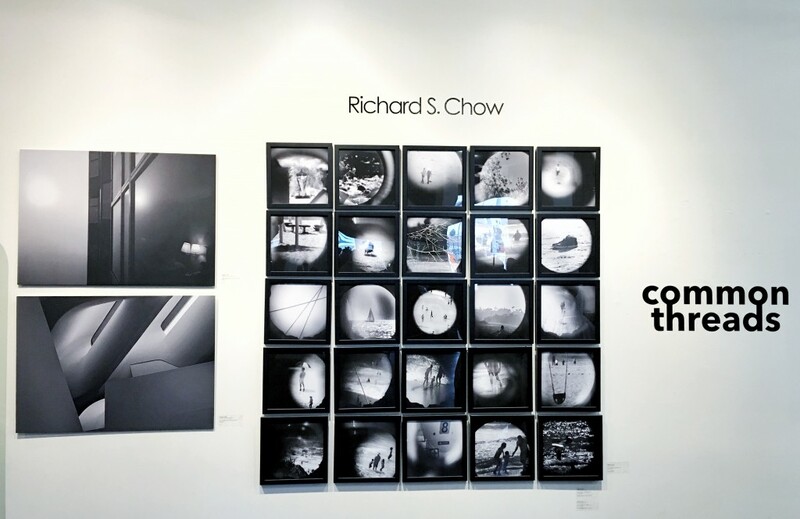 Convergent Evolution, a solo show by photographic artist Richard Chow at the Neutra Gallery in Silver Lake is a beautifully evocative mix of black and white images and a vivid color palette that show a wide and evolutionary range of Chow’s work. Exhibiting images from radically divergent bodies of work, Chow takes bold risks in presenting disparate images that transcend beauty or social commentary, stimulating, challenging, and engaging the viewer in dialogue with the art. 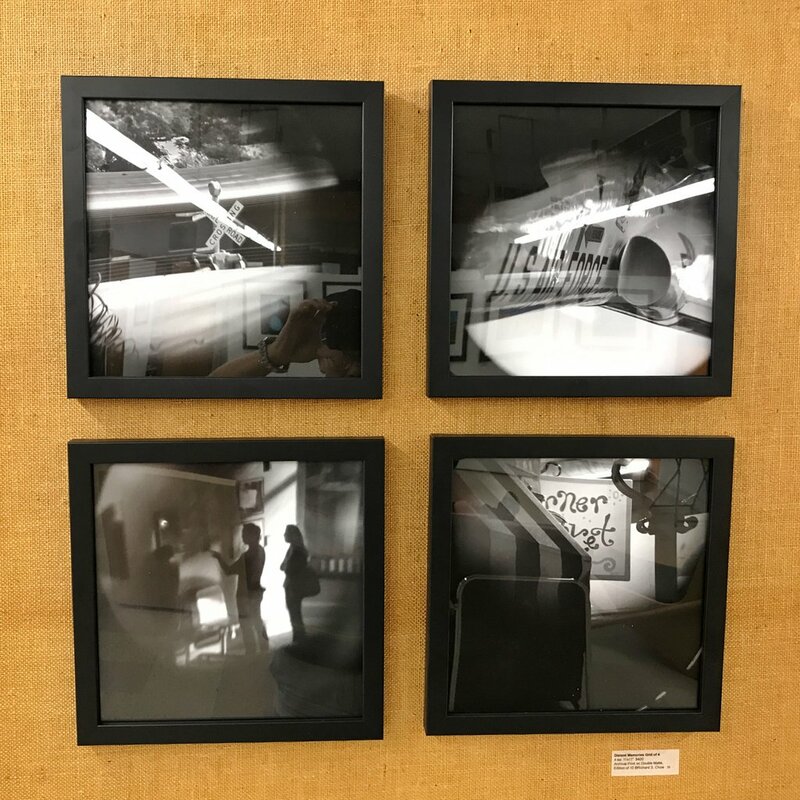 Curated by Dulce Stein along with Chow, the work here features predominantly black and white images, making the vibrant full color photographs in Chow’s “URBANSCAPE” series a striking focal point. 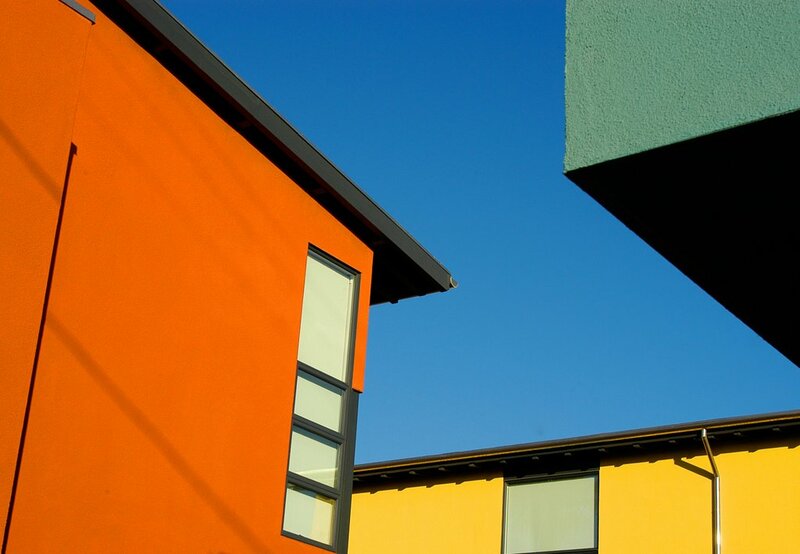 “A New Angle,” above, is a strong example the artist’s exploration of how color and form can be reimagined within the construct of the urban landscape. Bold use of color is an essential component here, and it seems as if Chow is painting with his camera, using his surroundings as a palate. The intense colors and tight compositions that are characteristic of this series create compelling, dynamic images with an abstract modern aesthetic. 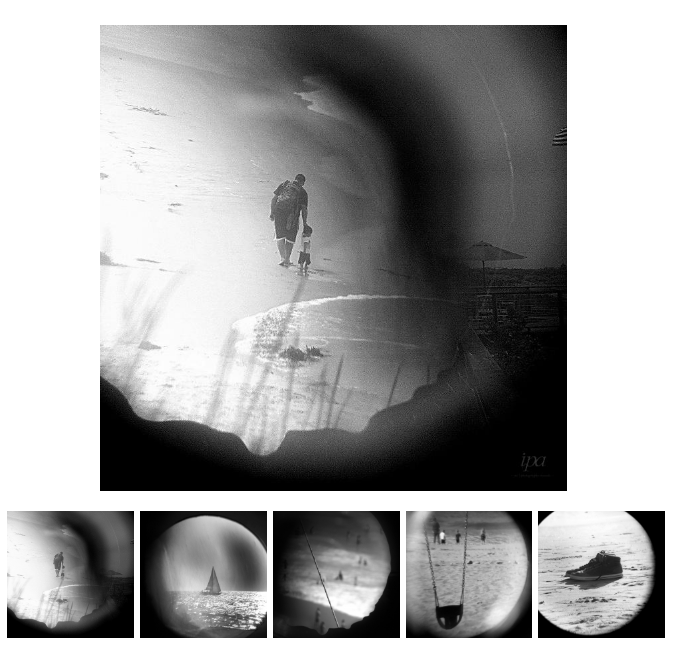 In sharp contrast, images from Chow’s more recently developed body of work, “Distant Memories,” are an ethereal black and white, crafted by inserting secondary lenses between the subject matter and the camera. 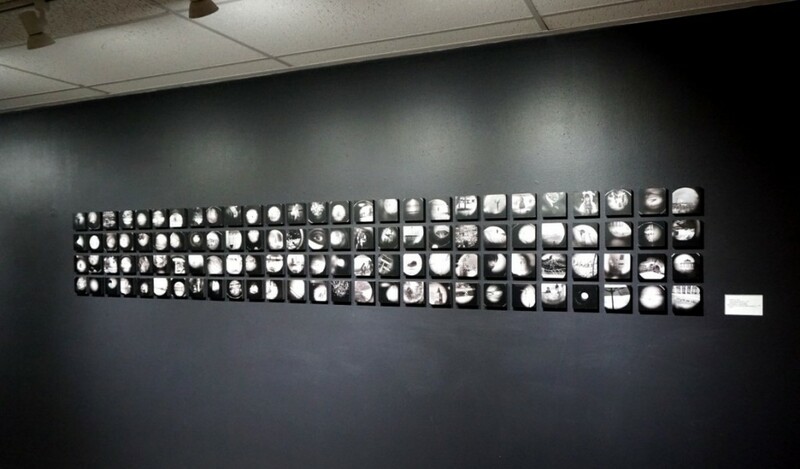 In the series, the artist acts as curator of visual memories, questioning how they influence our individual humanity. Although the images, like the recollections they depict, are softy diffused and rely heavily on the use of light to convey emotion, the compositions are classic and strong. 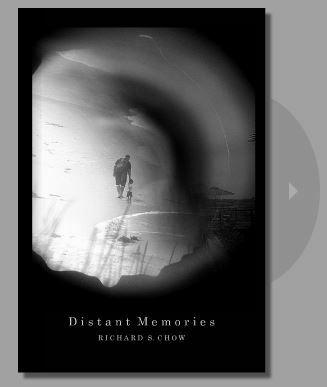 “Memories,” Chow says, “are the result of a subconscious sifting through life experiences filtered through our emotional response. 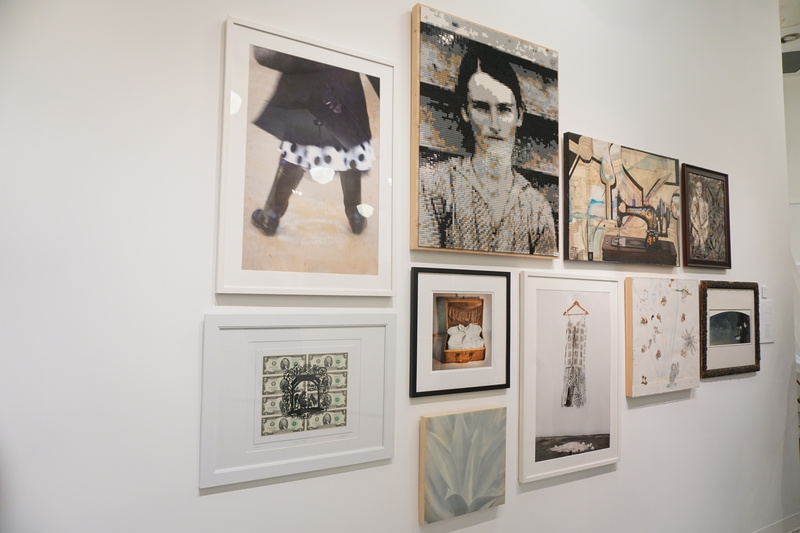 This process leaves them fragmented, somewhat indistinct.” The works, set against backdrops that are fertile ground for memories, explore subject matter that spans the emotional spectrum, triggering the viewer’s own memories. 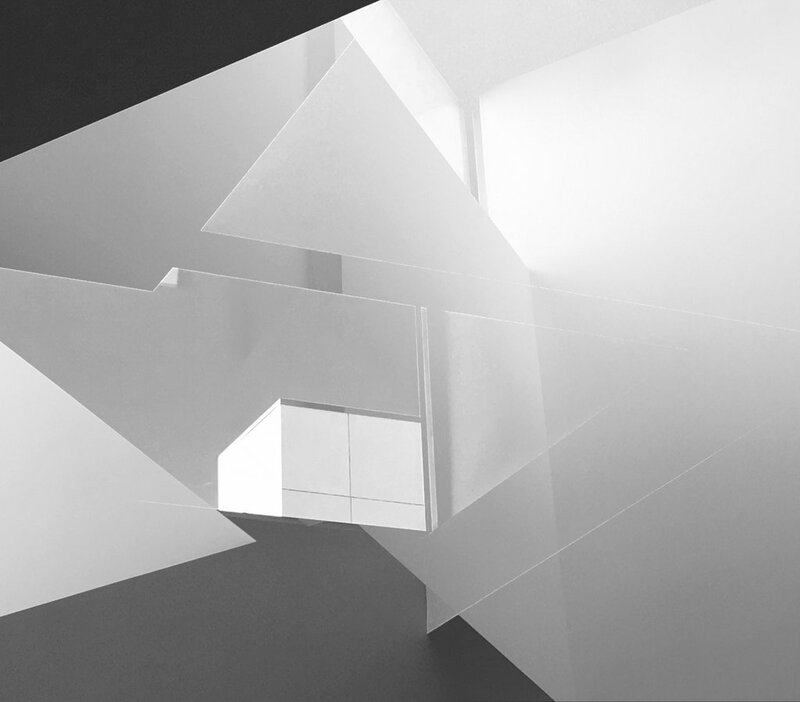 Chow’s most recent body of work, “Into the Light,” returns to his architectural roots, but features black and white photography. These images, frequently larger in scale and devoid of color, allow the artist to plumb the depths of light, form, and function, exploring the urban landscape in relationship to those who inhabit it. 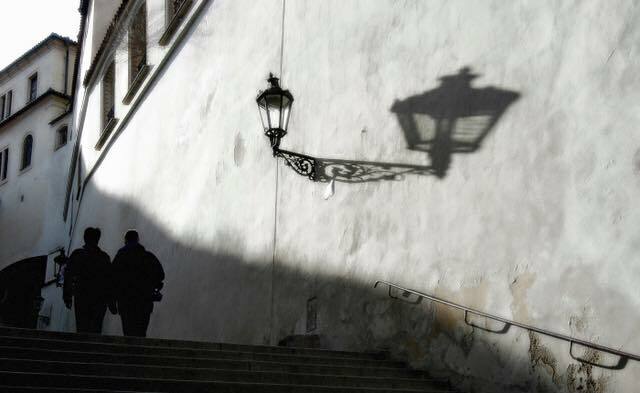 While the series shares subject matter with its architecturally based predecessor, “URBANSCAPE,” here the photographer uses light, not color, to convey tone, atmosphere, and context – resulting in compelling images with an abstract modern aesthetic. No less vibrant and engaging for the absence of color, these images show Chow’s progression as an artist, the works becoming more experimental in nature. Chow makes extensive use of geometry to add structure and organization to images that are more abstract than his earlier works. 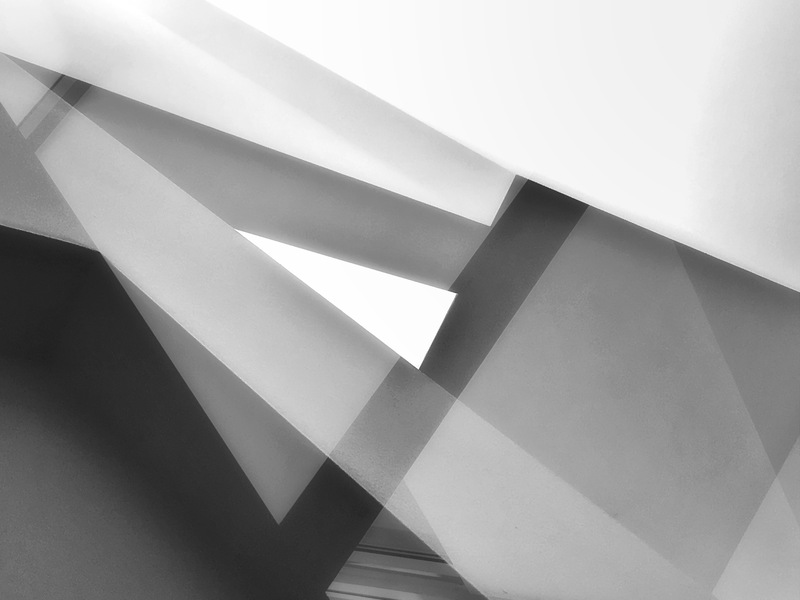 These compositional techniques allow him to quite literally lead viewers into the light. The exhibition closes Sunday, so add it to your weekend list. The Neutra is located at 2379 Glendale Blvd. in Silver Lake. New work that would be shown at my Solo at The Neutra Museum Gallery. Press Release for upcoming solo show — hope you can attend on Sept 2. Award-winning fine art photographer Richard S. Chow exhibits curated selections from multiple bodies of work at the Neutra Institute Museum Gallery from Aug. 29 – Sept. 17. Opening reception Sept. 2, 6 – 10 pm. 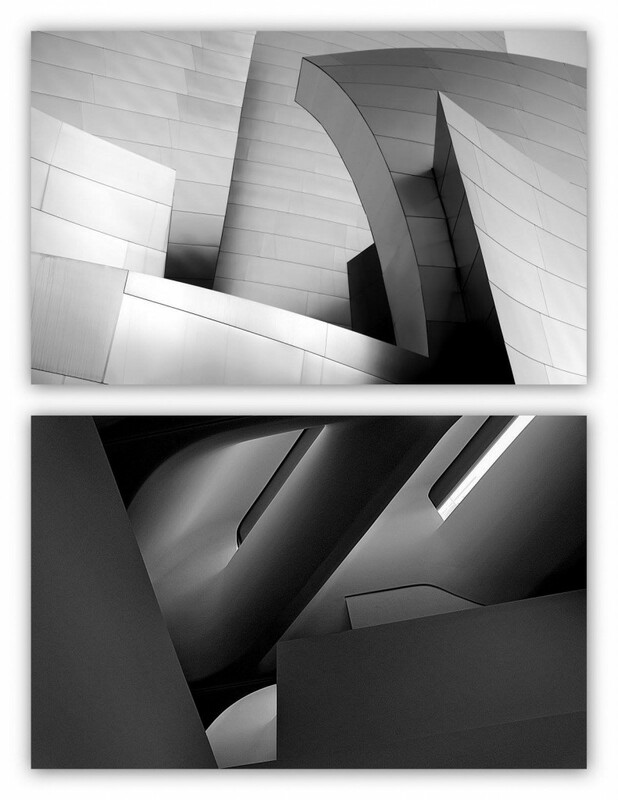 Los Angeles, CA, August 23, 2017 –(PR.com)– Fine art photographer Richard S. Chow exhibits a curated selection from his diverse body of work in a solo exhibit at the iconic Neutra Institute Museum Gallery. The exhibit includes selected works from several bodies of work including his URBANSCAPE and Distant Memories series and will debut new work. 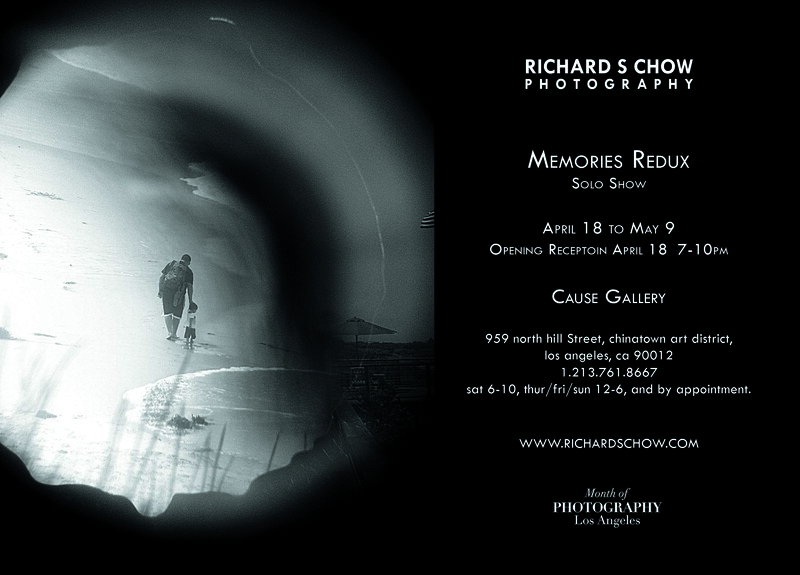 The exhibit is augmented by a comprehensive online portfolio at www.richardschow.com. The artist has crafted a portfolio with distinct series that appear dissimilar in aesthetic, concept, and message but structurally they rely on strong composition, technical precision and a recurring commentary by the artist on social and cultural ideology with an artistic intent to engage the viewer in a dialogue with the art. It is these analogous structures with similar form applied to divergent bodies of work and subject matters that are the hallmark of the artist’s work. The artist reception will be Sept. 2, from 6-10 pm. In addition to light refreshments, there will be an opportunity to meet the artist who will be signing his limited edition books. 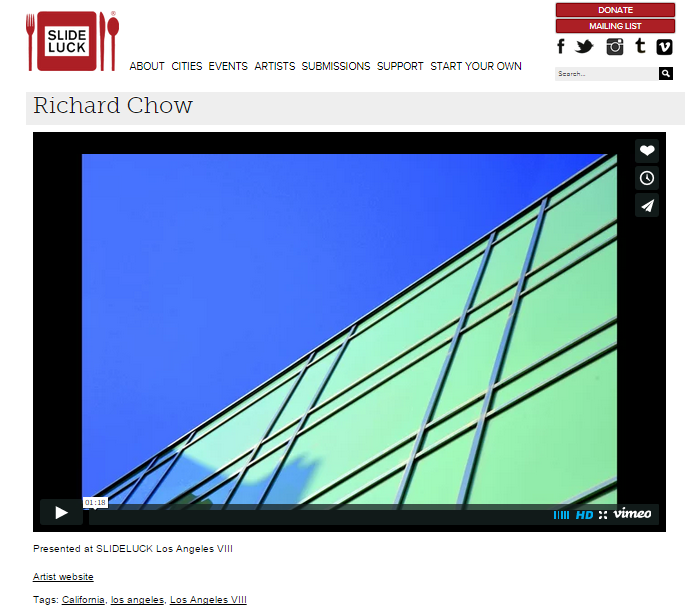 Richard S. Chow is an award-winning fine art photographer based in Los Angeles, California. 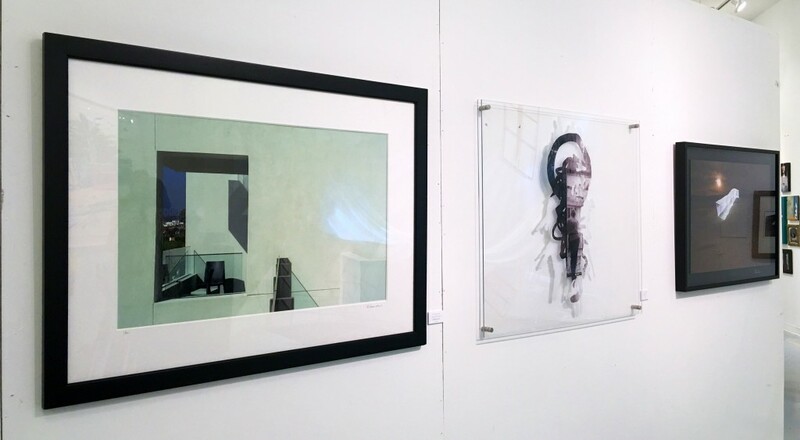 He has widely exhibited in solo and juried exhibits across the U.S. His work has been internationally published and is featured in several private and public collections including a recent acquisition by the American Hotel in Los Angeles. 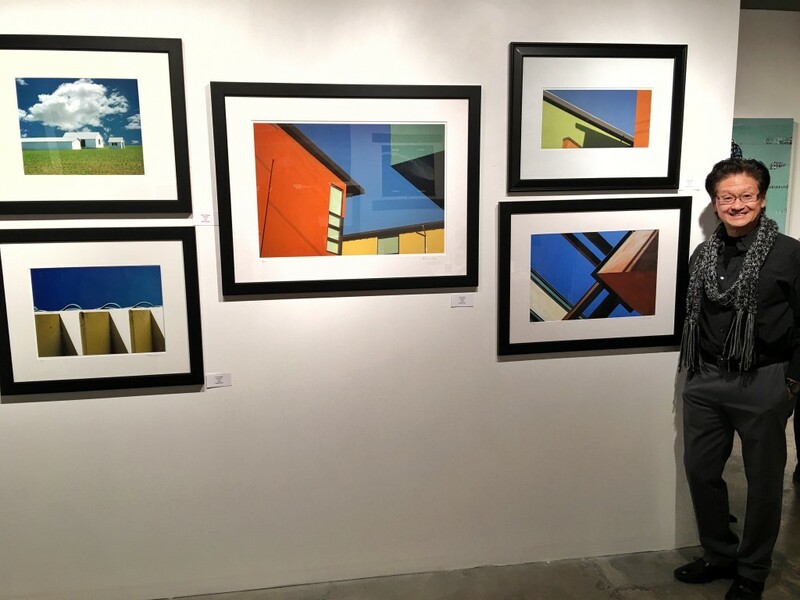 Richard is also represented by the following galleries – Gallery 825/LA Art Association, Gloria Delson Contemporary Arts, and Beyond The Lines Gallery. 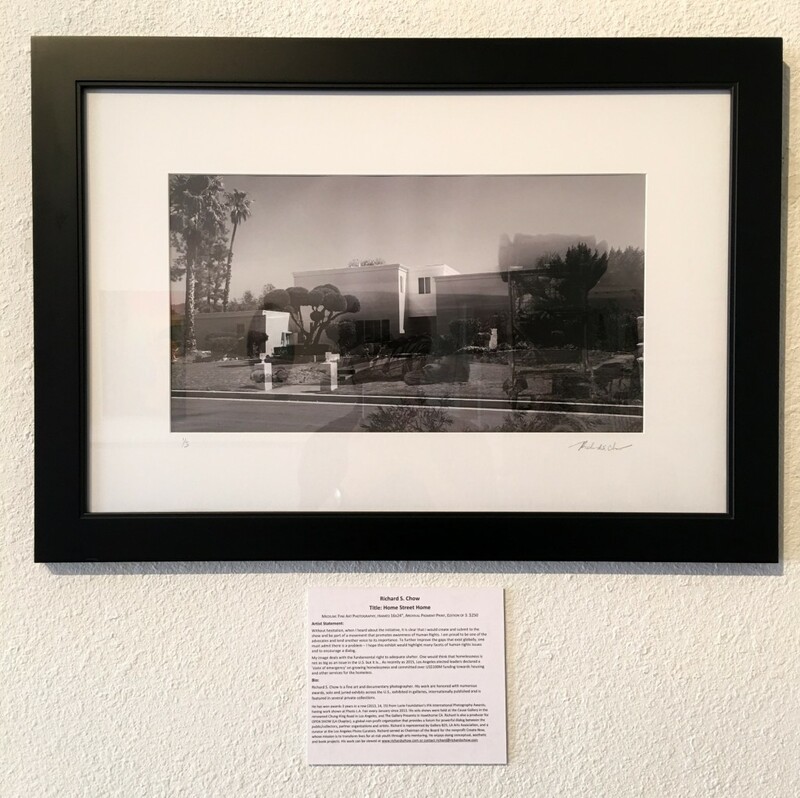 The Neutra Institue Museum Gallery is housed in the iconic Neutra Office Building, owned and designed by Modernist architect Richard Neutra in 1950. It served as the studio and office for Neutra’s architecture practice from 1950 until Neutra’s death in 1970. The building has been declared a Historic Cultural Monument and listed on the National Register of Historic Places. 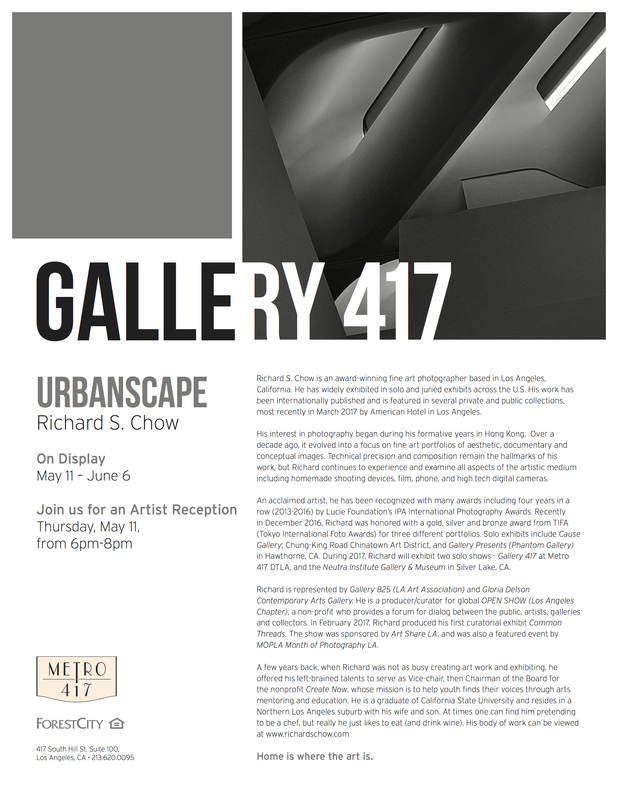 I feel honored and blessed to have the solo show at Gallery 417, sponsored by Metro 417, a boutique residence in a historical building in DTLA. Attached here is the flyer produced by Gallery 417, these are posted in each elevator in the building – so cool. The opening reception was on May 11, thank you to each one of you who came by on opening night, and also came by later during the month long exhibit. You rock and thanks! Happy New Year!To work off those extra holiday calories, I hit the ground running in 2017 with a flurry of activities. The first quarter is filled with a lot of great opportunities to enjoy fine art photographs from Photo LA fair, that also kicks off the Month of Photography LA… to my first curatorial effort! 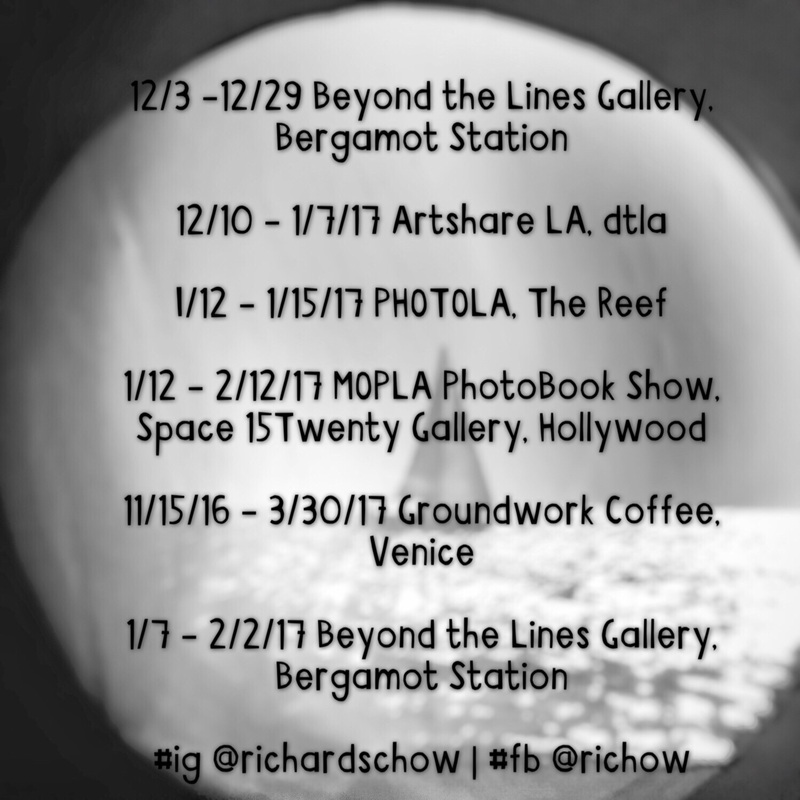 There are also Open Show presentations, a book exhibit, and plans are underway for a soft opening of my exhibit at Groundwork Coffee in Venice. I hope to see you at some of these great venues! 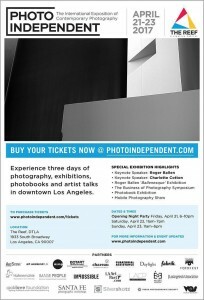 This coming weekend marks the 26th year of Los Angeles’ premier photo fair, with lots of exciting exhibits and events. The gala opens on Thursday, Jan.12th at 7pm. 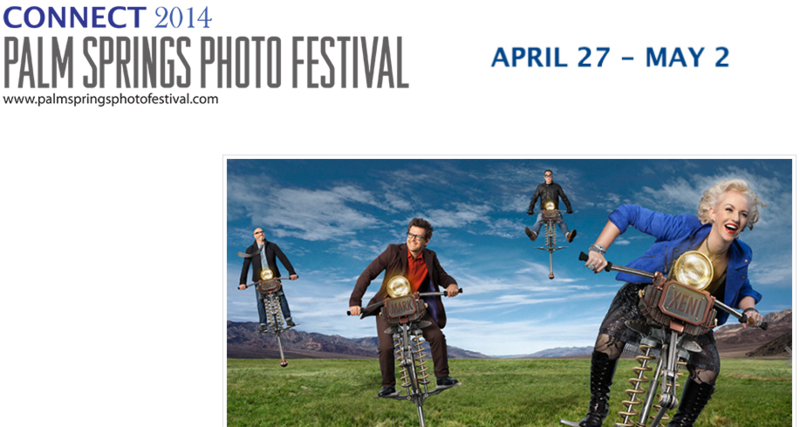 This is the can-not-miss event for photography fans! Please see us Open Show LA at Booth #830, where I will be showing new work in the Urbanscape portfolio along with other Open Show alumni. Open Show LA is kicking off 2017 with a break out session at the FOCUS booth at the Fair. We’ve lined up five fantastic winners from the annual FOCUS competition, including a rare opportunity to hear many who are from out of town. I am excited to see and hear more from the presenters. Please come hear their narratives and inspirations on Saturday, Jan. 14th at noon, at The Reef. 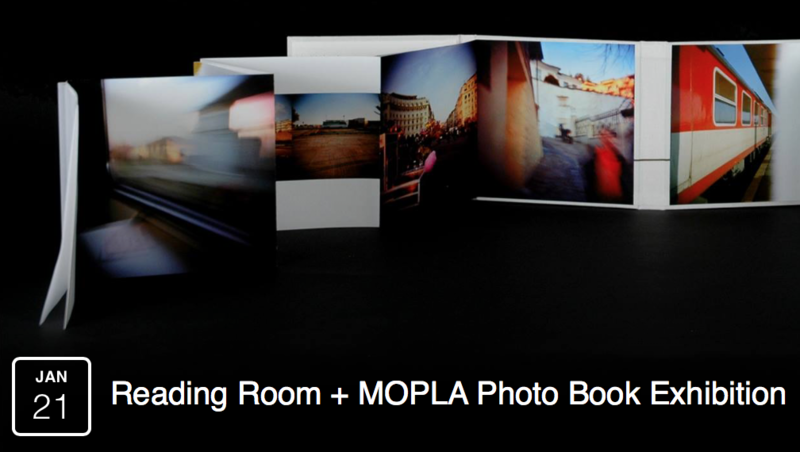 Join me at the first annual book exhibit by MOPLA (Lucie Foundation Month of Photography LA) in partnership with Venice Arts Reading Room as part of the 2017 Converge program. I feel humbled to be included along with amazing photographers around the globe and their imaginative monograms in all formats from soft cover to large, coffee-table size volumes. 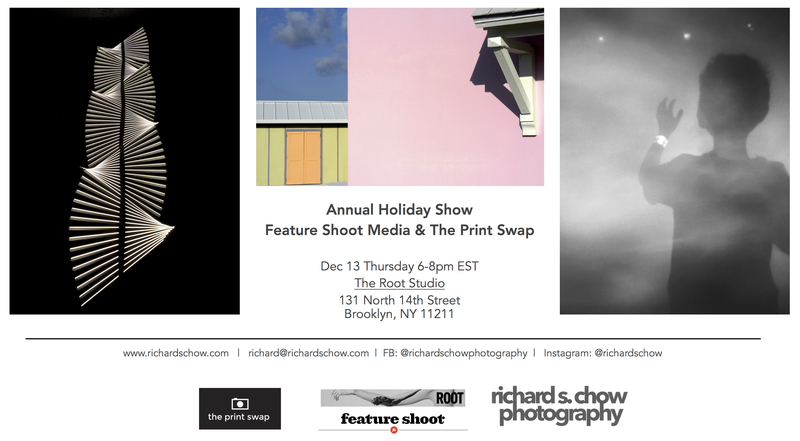 My self-published book on the “Distant Memories” portfolio will be shown, along with a couple pieces on the wall. The opening event features book signing opportunities and book talks. The group show is curated by yours truly! 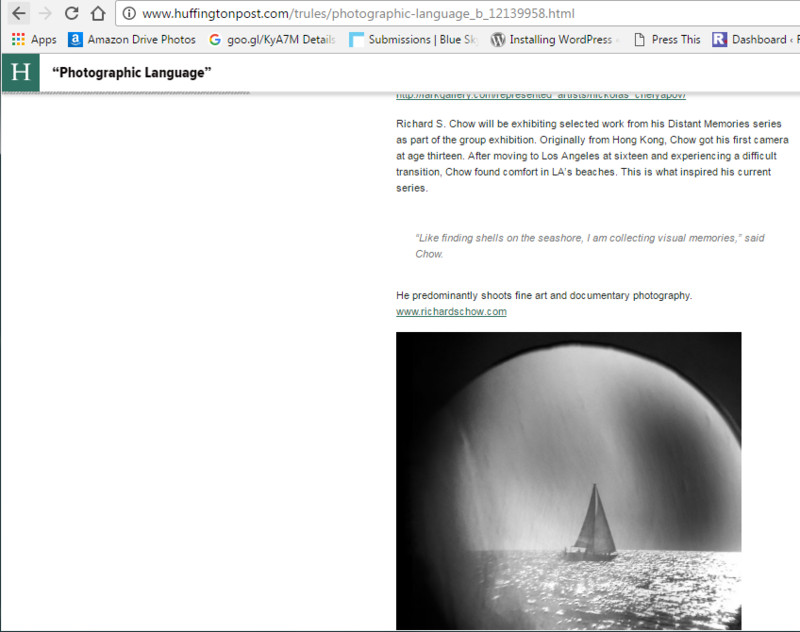 I am very honored to be able to contribute opportunities for the public to enjoy the photography arts that I love. Hopefully you can join us at the opening on Thursday, Feb. 9th during the monthly DTLA Art Walk or at a later time as the exhibit runs thorough March 2. 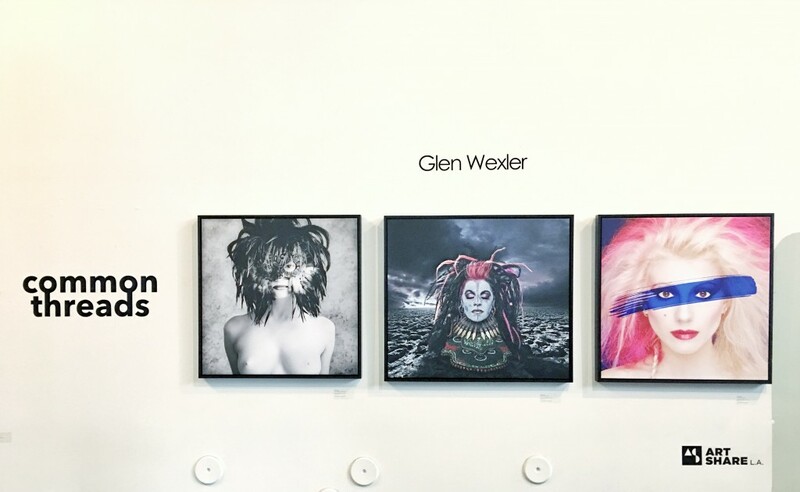 • Beyond the Lines Gallery at the Bergamot Station in Santa Monica at 2419 Michigan Ave, G#8. Hours vary, please contact the gallery. 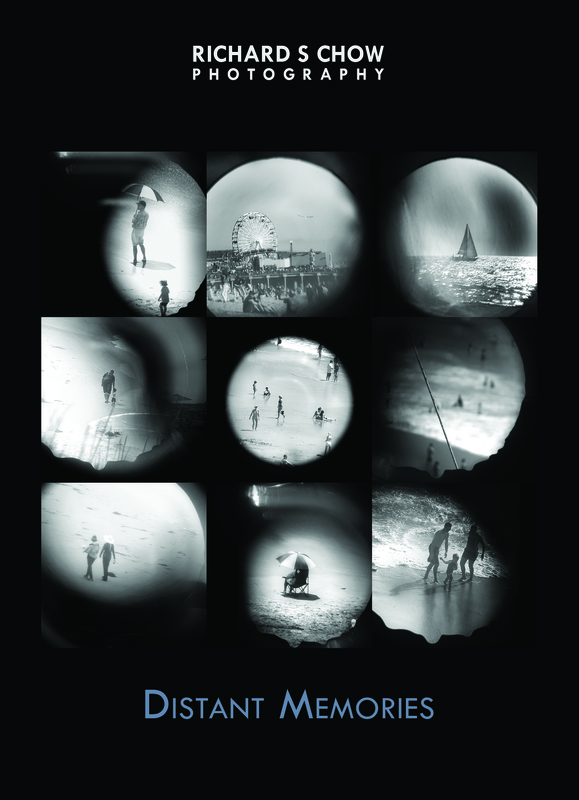 OCEAN is the January exhibit and if you love the beach you don’t want to miss this. The closing party will be Saturday, Jan. 28, 5-8pm. • Groundwork Coffee presents the Urbanscape series at the Venice location, Abott Kinney & Rose Ave, 671 Rose Ave, Venice. The show runs thru March, 2017. 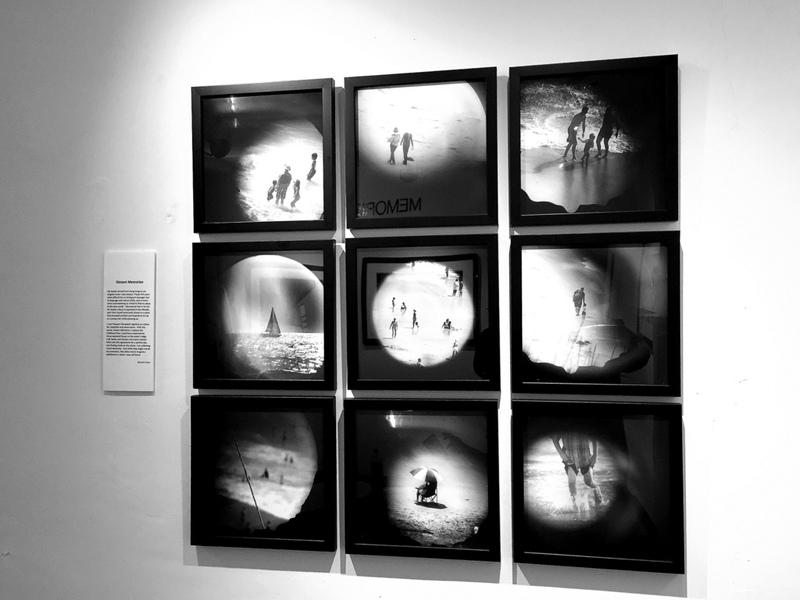 Reading Room transforms Venice Arts into a space for exploration and engagement with a wide variety of work by photographic artists working in the book form. 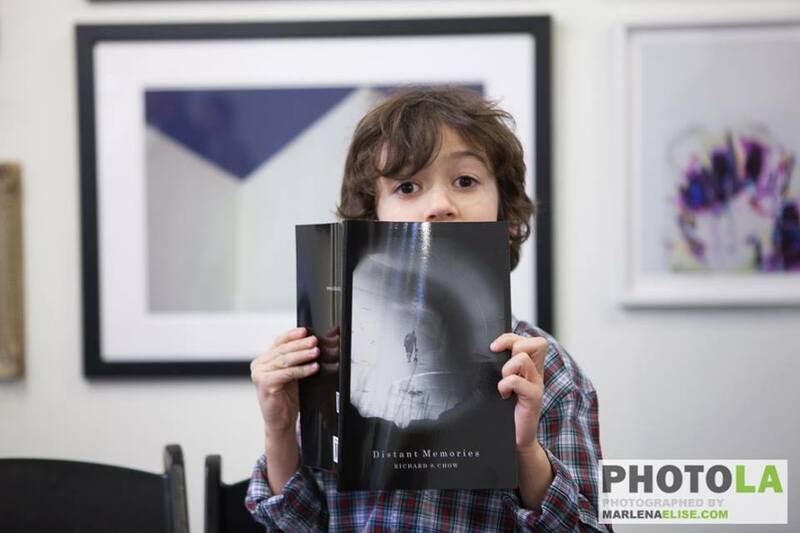 From bookworks independently published by artists to interactive book installations and fine press publications, Reading Room brings together the centers and margins of the world of the photo book today, and offers audiences a space to contemplate and investigate the photographic book form. Anchored by an interactive installation by Ara Oshagan, the exhibition includes work by Nancy Baron, Richard S. Chow, Genevieve Coutroubis, Clay Lipsky, Kevin Lynch, Marjorie Salvaterra, and Aline Smithson.The MOPLA Photo Book Exhibition is a juried, submission-based exhibition featuring both independently and commercially published books by emerging and established photographers around the world. 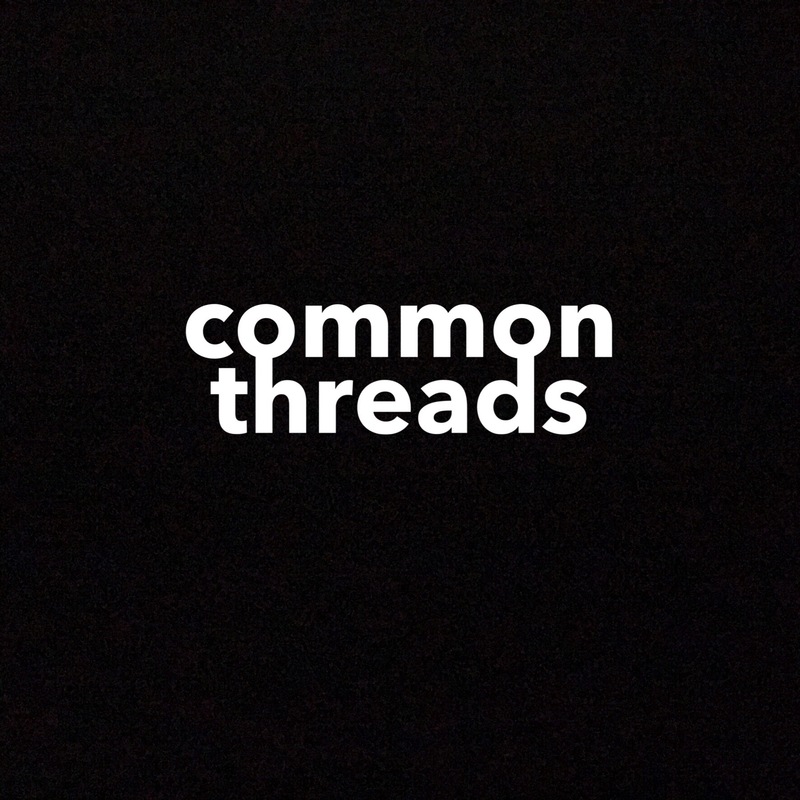 ​curated by Richard S. ChowEight photographers, each unique in their artistic approach, choice and presentation, comes together in common threads - an exhibit that may require you to see beyond the image, and attempt to create your own narrative. 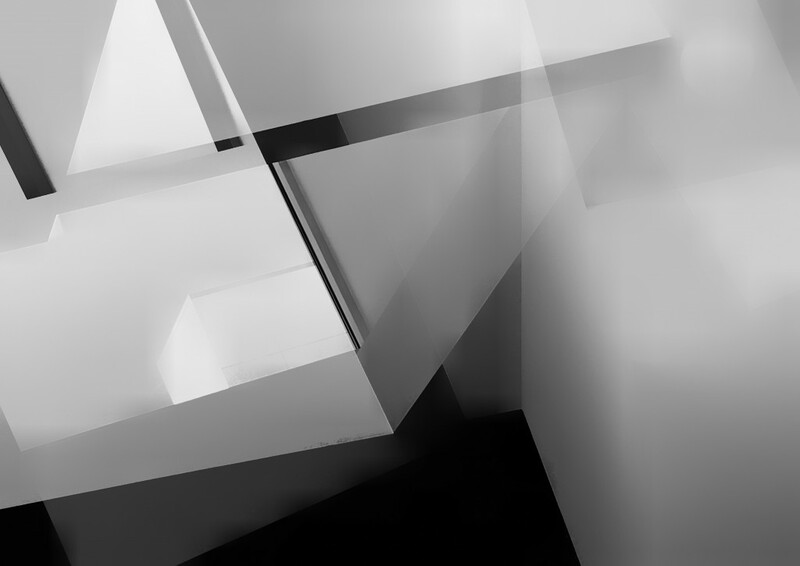 We believe each image has some form of abstraction, whether visually or subconsciously. Very honored and blessed to receive 3 winning awards from the 2016 TIFA (Tokyo International Foto Awards). They are from three separate series and placed Gold, Silver and Bronze. I’d like to thank all of 25 jurors who are from all parts of the globe. Please also check out the TIFA website to browse the other winning images, I am impressed as to the level of creativeness of the competition and feel lucky to be among them. It is indeed a good gift for the holidays times. 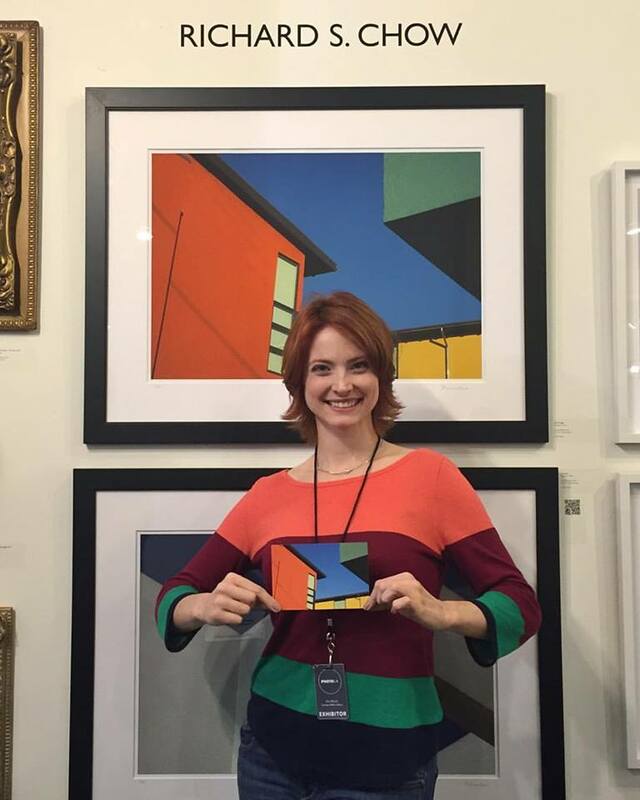 Upcoming Exhibits Winter 2016 – Happy Holidays to you and Yours!!! 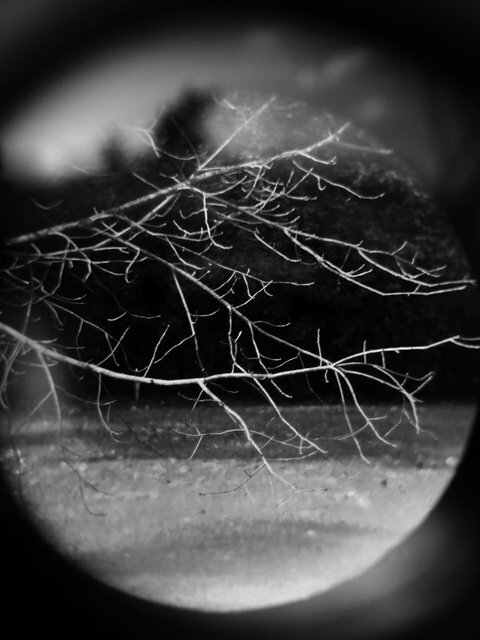 What I thought to be a sleepy’ish Winter is now filled with art events and photography! Please see the below for exhibits and other events and I hope you could see some whenever feasible. Each of the events would likely have a FB event page, therefore please check out my FB or feel free to contact me directly, don’t be shy! One of the biggest is PHOTO LA 2017 in January. I really hope to see some of you in person at the Fair! 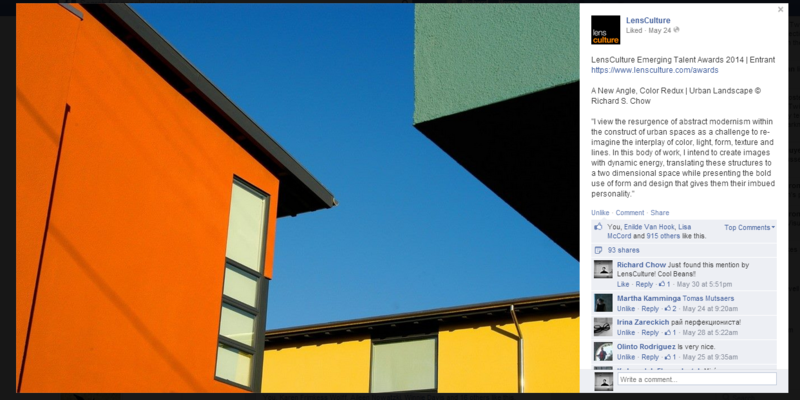 Very jazzed being picked for the group Cover Photo (for a while), what a cool surprise! 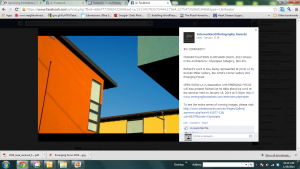 New Landscape Photography is a closed group in Facebook. Go check it out. 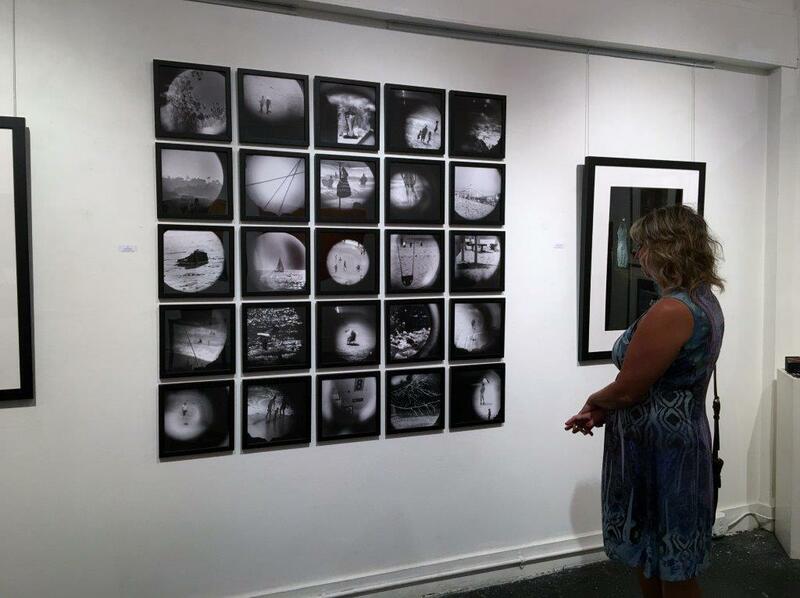 So honored to be among the fantastic artists in this show “Double Vision”. The location was fabulous and right at DTLA Art District. The DTLA art walk had significant visits. The exhibit was from Aug 1 to Aug 31. A big Thank-you goes to Petra Wright! 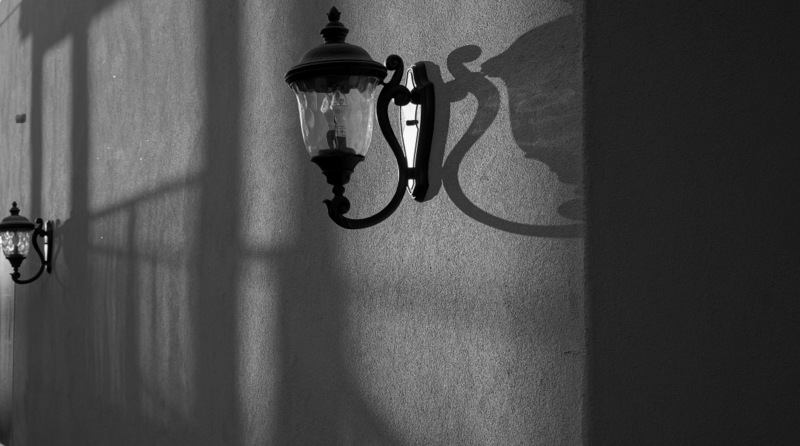 Medium: Fine Art Photography, framed 16×24”, Archival Pigment Print, Edition of 3. Without hesitation, when I heard about the initiative, it is clear that I would create and submit to the show and be part of a movement that promotes awareness of Human Rights. I am proud to be one of the advocates and lend another voice to its importance. To further improve the gaps that exist globally, one must admit there is a problem – I hope this exhibit would highlight many facets of human rights issues and to encourage a dialog. My image deals with the fundamental right to adequate shelter. One would think that homelessness is not as big as an issue in the U.S. but it is… As recently as 2015, Los Angeles elected leaders declared a ‘state of emergency’ on growing homelessness and committed over US$100M funding towards housing and other services for the homeless. 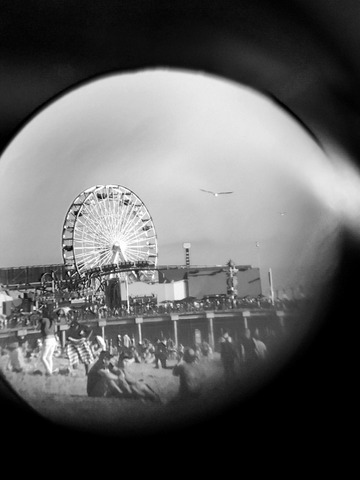 April is the Month of Photography LA (MOPLA) and sure is busy around this time of year! opening reception on April 30, 6-9pm. Exhibit runs thru June 11. Parking in the back or streets. Note: If you like complimentary Fair tickets for April 30 and May 1, please let me know. 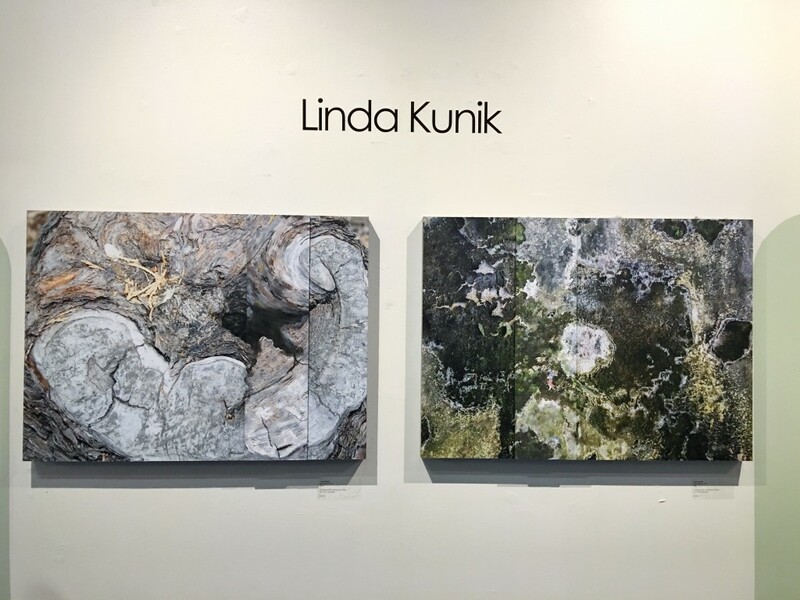 Opening Reception – April 30, 6-9pm. Very excited and grateful for my Solo show in 2016 – at The Gallery Presents in Hawthorne, CA. 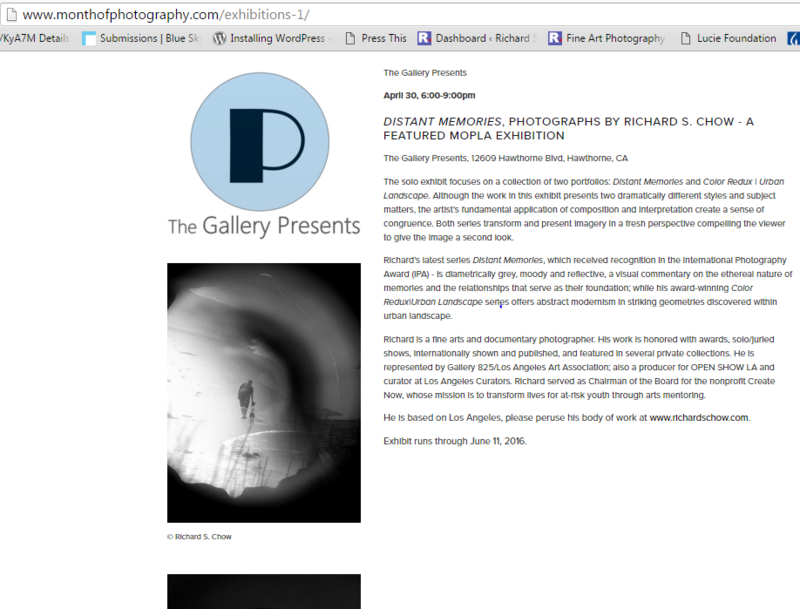 Also a featured exhibit by MOPLA Month of Photography L.A - looking like a busy April! 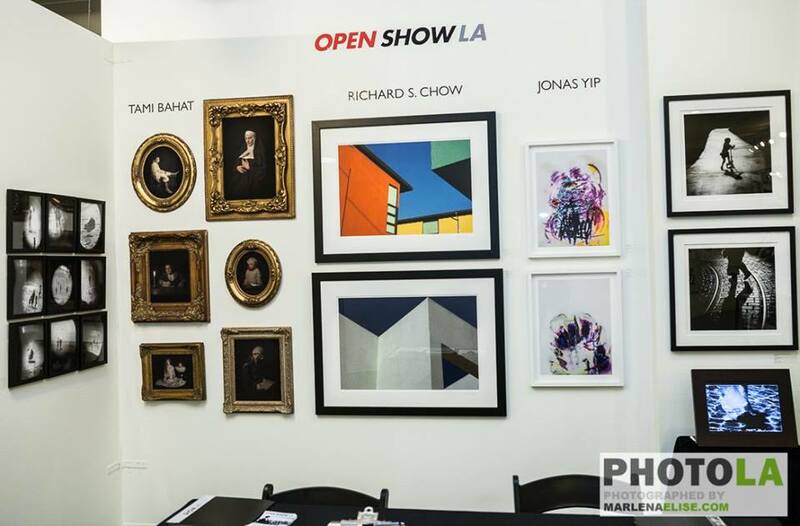 Very happy to be exhibit at Photo l.a. 2016 in association with OPEN SHOW LA! It was a whirlwind 3.5 days of photography fair, and very grateful to see old friends and meet new ones. Beginning immediately I will be a Producer for Open Show Los Angeles Chapter! 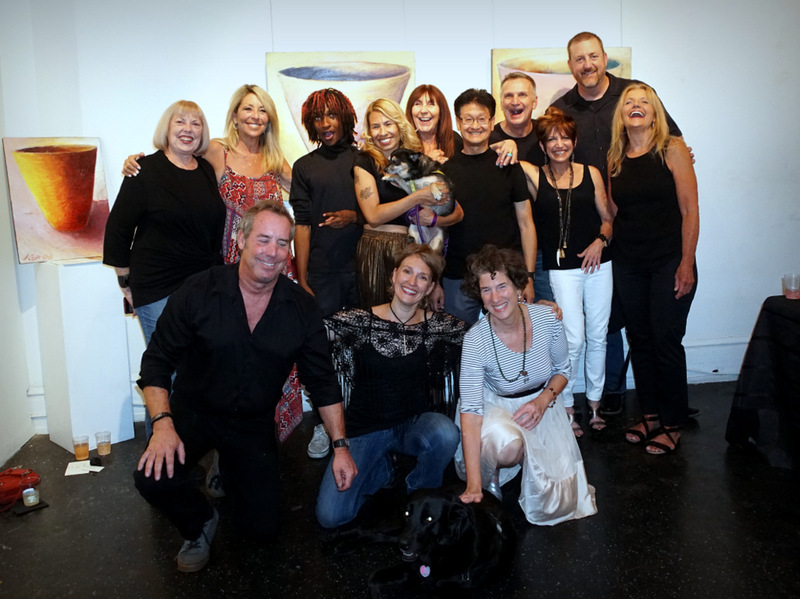 We just had our event #31 on Oct 14 at Venice Arts*, Venice CA. Los Angeles is second, only in terms of events, to San Francisco where it originated. 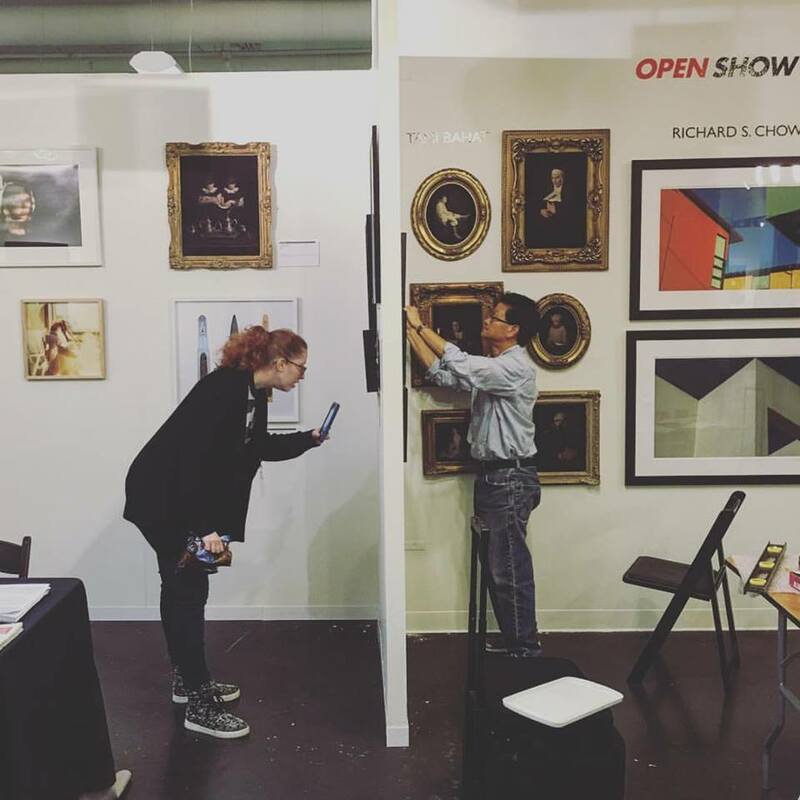 Open Show is a global initiative with the unique goal of local engagement.There are so many benefits for visual artists – opportunities to present/dialog on your portfolio, obtain feedback, fine tune, and connect with the art communities. Click to Like (OS LA) on Facebook and see previous shows & presenters. 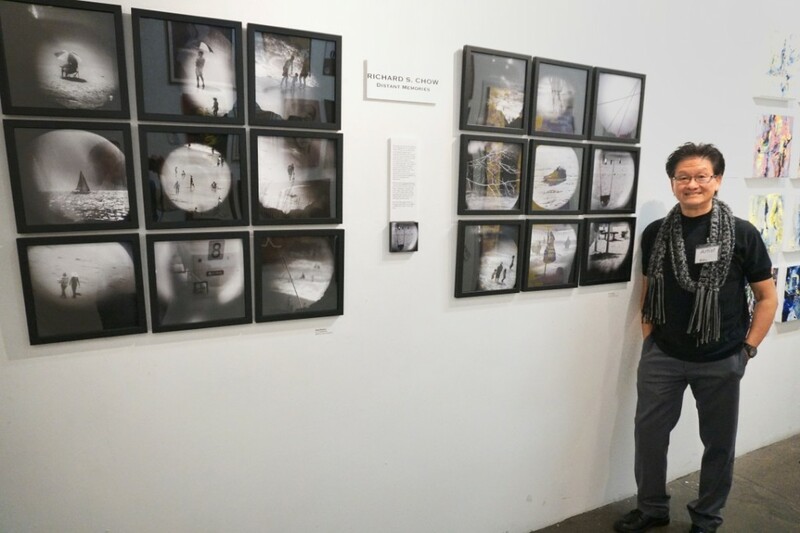 Jonas Yip and I are both co-producers and we are working towards to the next show, which will be a special event partnered with photo l.a. 2016. Save the date on January 23. 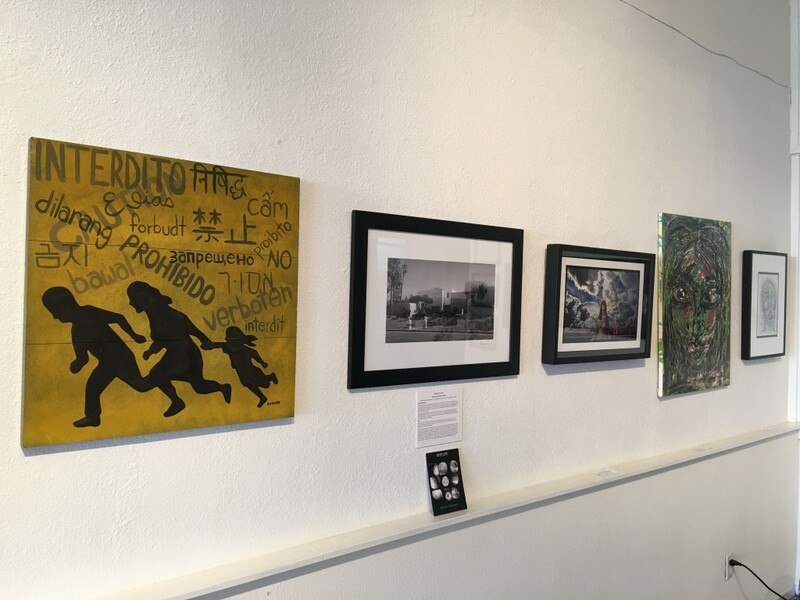 Open Show focuses on locally organized events that create a powerful feedback loop between the public, partner organizations and creators (photographers, filmmakers and multimedia producers). * A big Thanks to Venice Arts for hosting our last show! 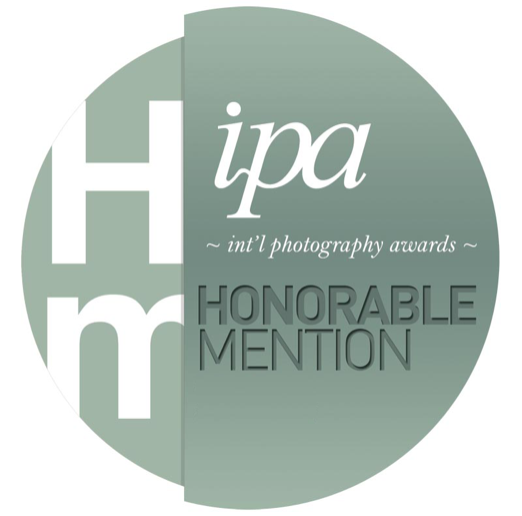 Very excited to receive awards for Honorable Mention in 3 categories – at the 2015 IPA ‬International Photography Awards! Thanks to all 117+ jurors in this year’s competition and of course the Lucie Foundation. Apparently they received 17841 submissions from over 230 countries. 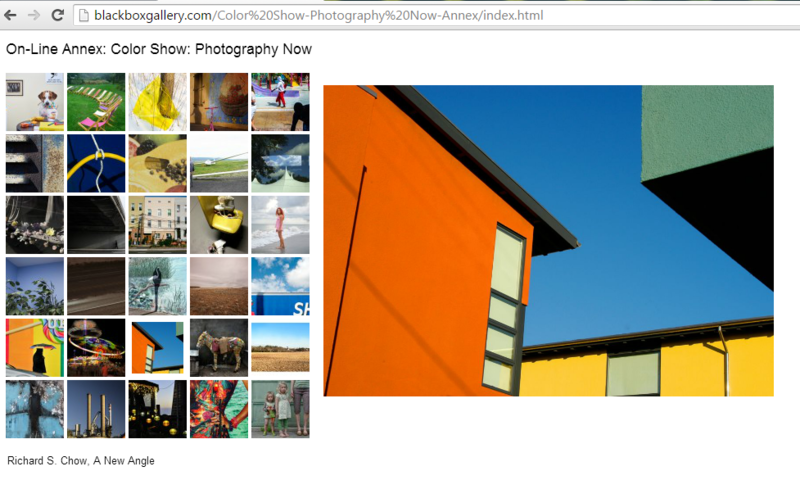 Click to see the images at IPA website, and check out the other winners with all compelling stuff! You can see the rest of the series at my website here. 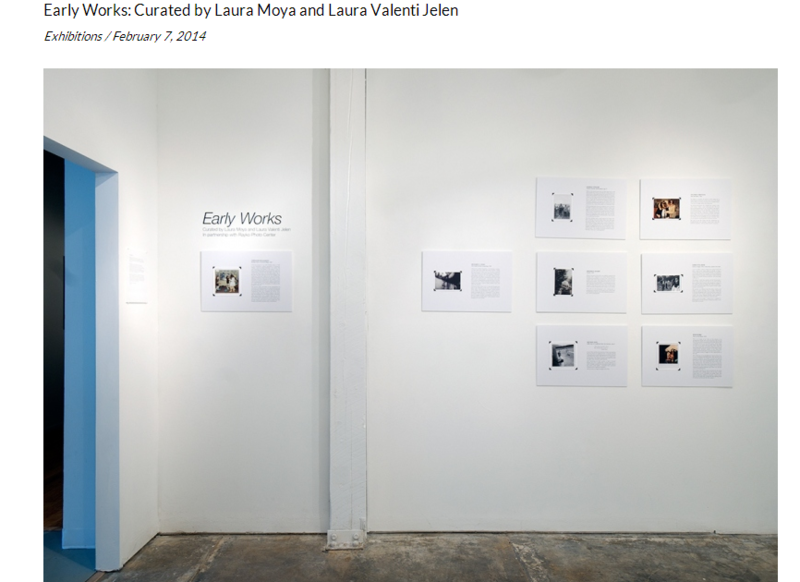 I feel very honored to curate the November exhibit for LA Photo Curator. 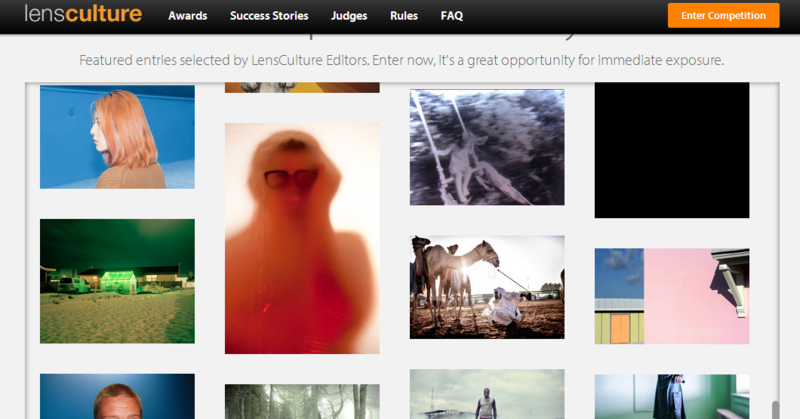 Really looking forward to have a look at the entries and to dialog on a few winning images. A winner, second place and a few honorable mentions are in the plans. Check out the prospectus below and pass it on… Thx. CLICK here for more details. Submit your entries by Oct 27. Everyone has them and they influence who we are at the most fundamental level. How the human brain sifts through our collective life experiences to cull over only selective moments to retain remains a mystery, however insight into the formation and retention of our earliest memories suggests that peoples’s memories often begin with significant personal events infused by their nature with emotion. 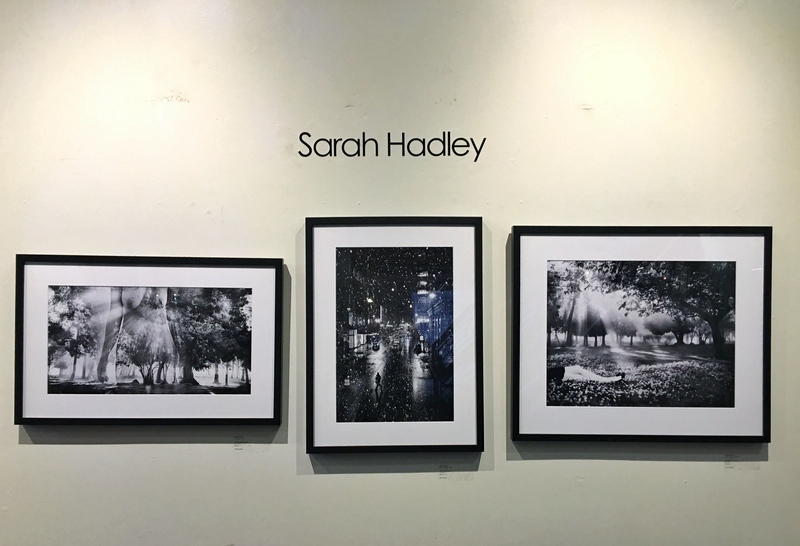 This month’s juried exhibition encourages the photographer to explore the notion of how memories are retained and played back in the psyche of the person who holds them, and to represent the artistic interpretation visually. For the purpose of this theme, please try to focus on early memories in your life, however, feel free to adjust or create as you see fit. There are no specific rules except that they are your photographs and most importantly they are your imagination. Supplementing your visuals with an artists statement is encouraged. 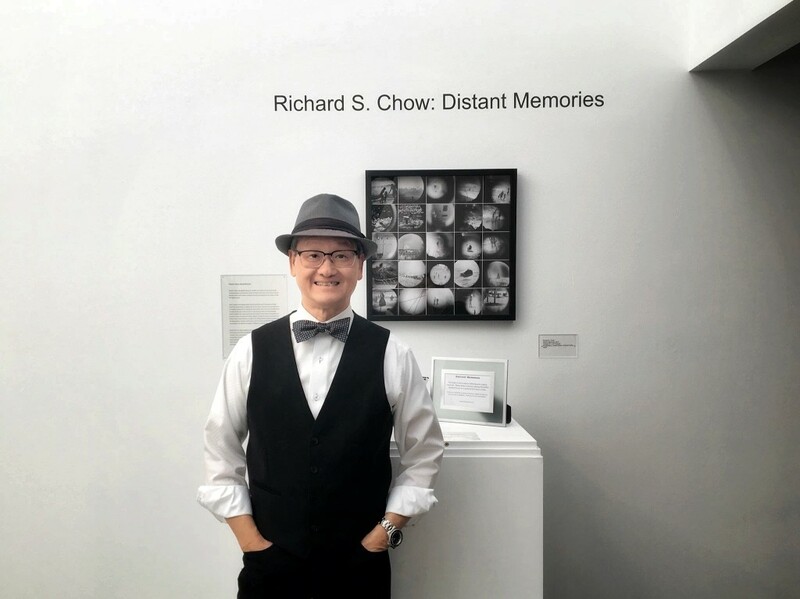 L.A. Photo Curator is proud to have Richard S. Chow as this month’s curator for the theme of “Memories.” Chow is a fine art and documentary photographer that has exhibited in galleries and online across the United States and internationally. Chow’s solo show in downtown L.A. earlier in 2015, “Memories Redux”, brought lots of high praise. 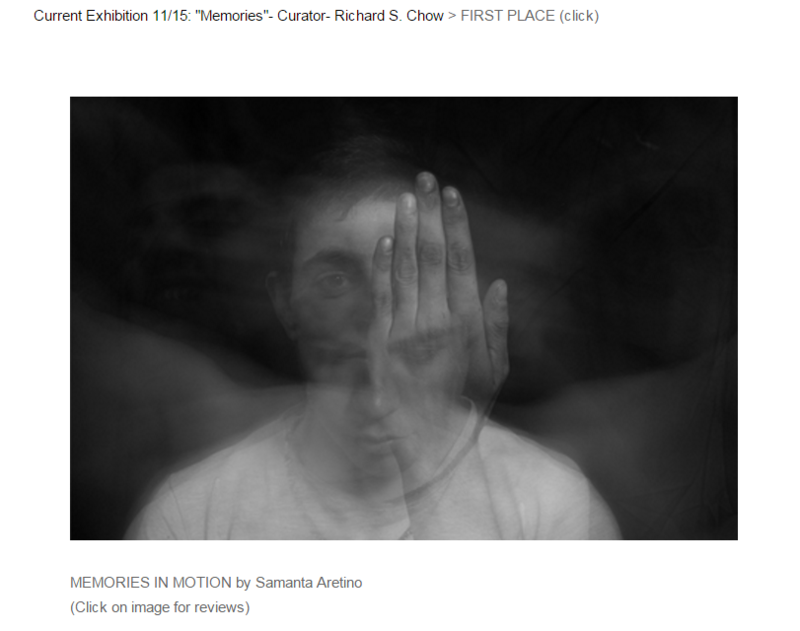 Chow has also placed twice in the prestigious Lucie Foundation International Photography Awards. So glad to be participating in this one-night only show “Spaces and Faces“. Slideluck is a great organization. Please come out to support them and have some fun, great desert to boot. 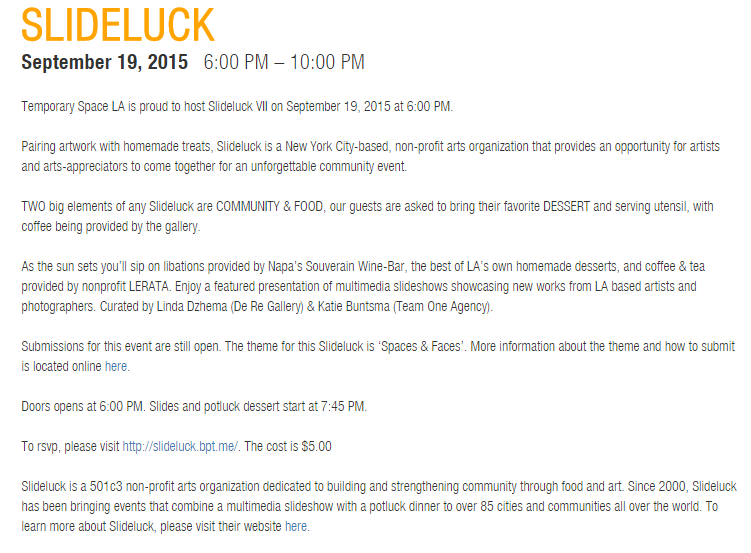 Slideluck is a 501c3 non-profit arts organization dedicated to building and strengthening community through food and art. Since 2000, Slideluck has been bringing events that combine a multimedia slideshow with a potluck dinner to over 85 cities and communities all over the world. To learn more about Slideluck, please visit their website here. 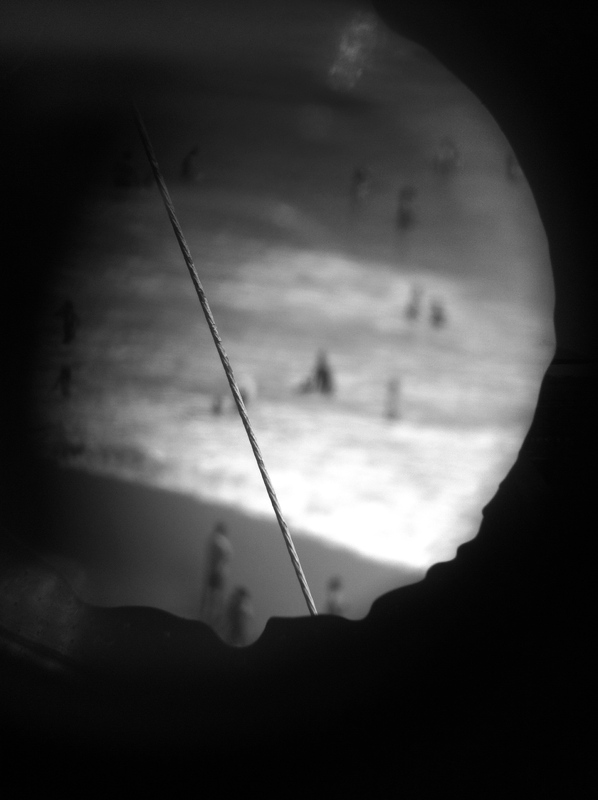 Very pleased to be selected by juror Christy Karpinski of F-Stop Magazine. For the month of June 2015. The opening night was jammed packed, and didn’t really take any photo during that night. WHAT! I am not a photographer, right!? 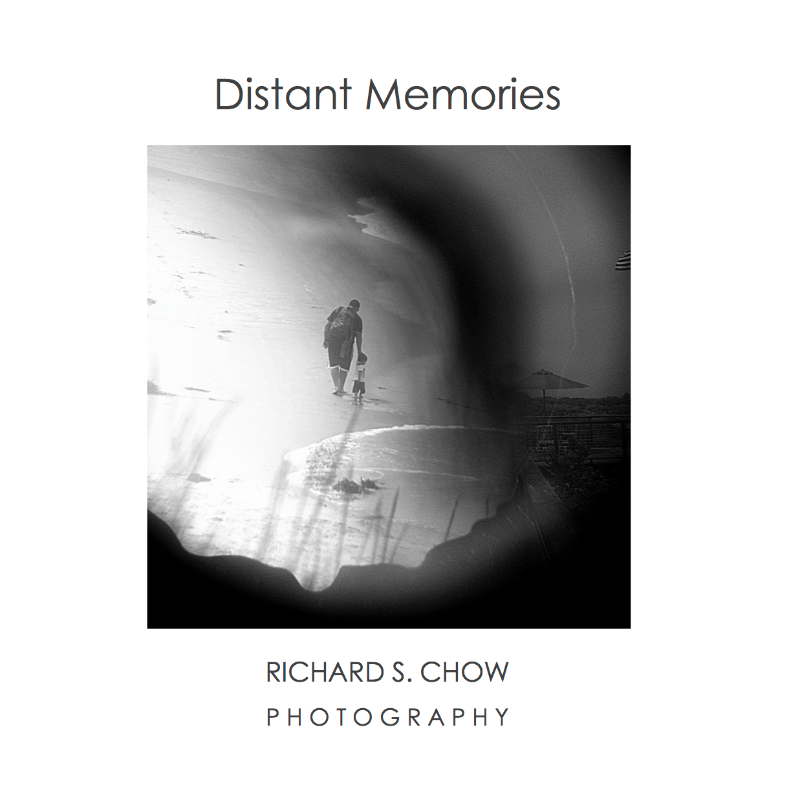 The debut of my newest series Distant Memories was exciting. 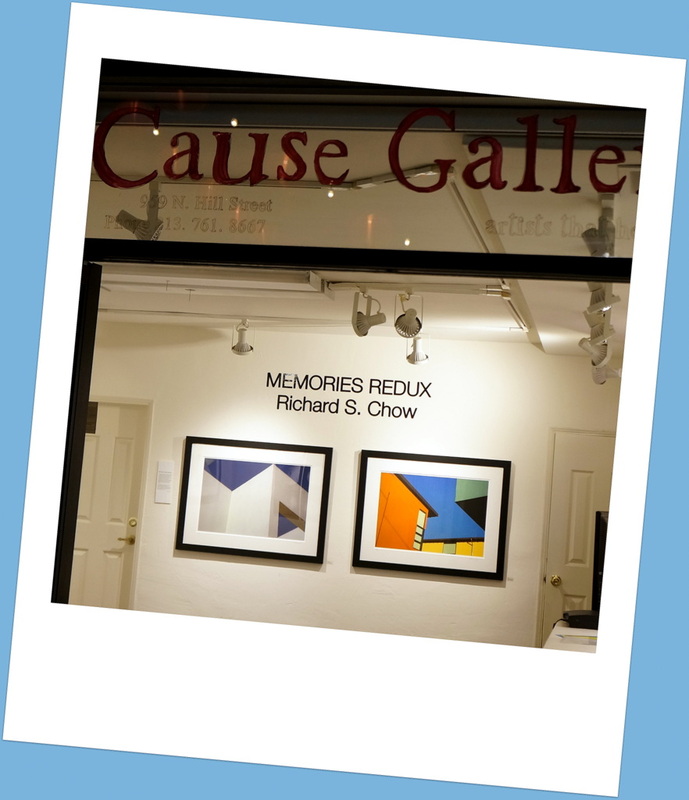 And thanks to Cause Gallery! 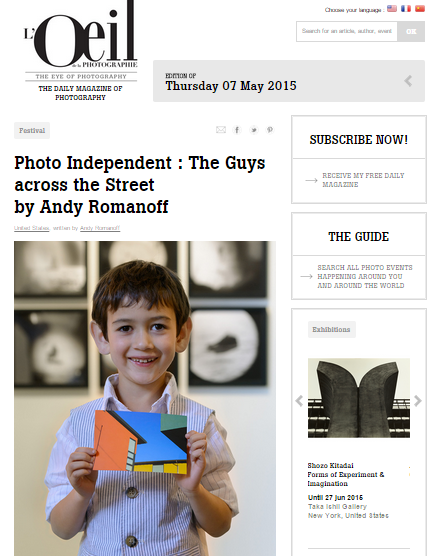 Thanks to Andy Romanoff, who reviewed PHOTO INDEPENDENT and also included 3 of my images as part of the highlights! Please take a read of the article, insightful! Click below for my info as the Exhibitor in PHOTO INDEPENDENT Art Fair. 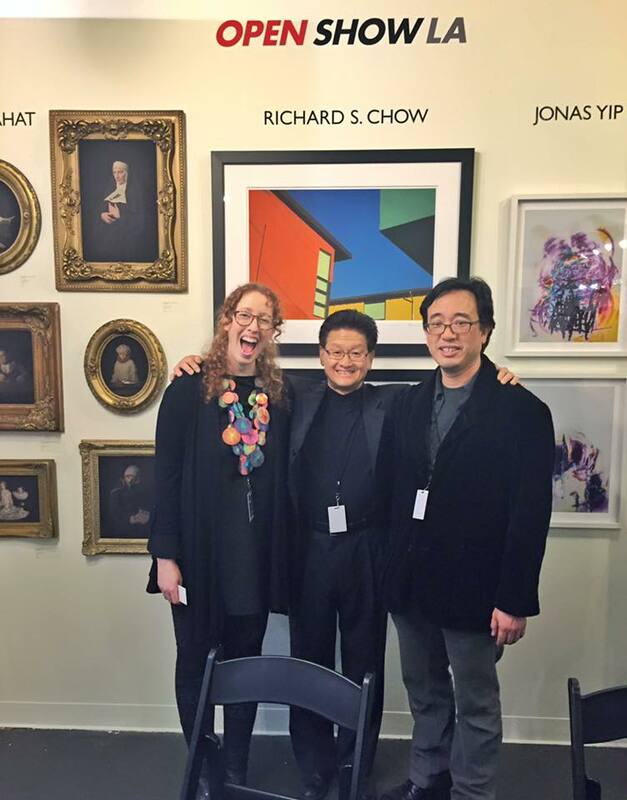 Photo Independent Art Fair | Richard S. Chow. On Lenscratch today (April 17) on the Hair Theme. PRESS RELEASE for the Solo. Prep for Solo Show – ahhh!! Solo Show – very busy doing prep and almost everything else… am sure I’m forgetting something! 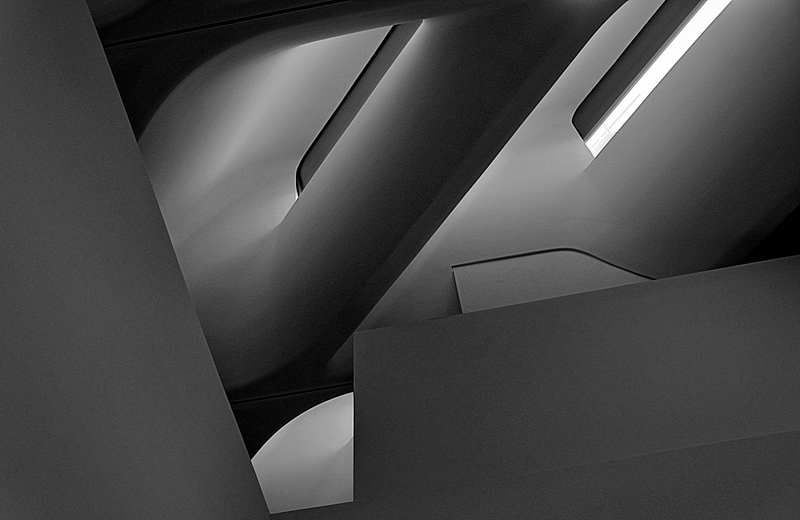 At the Center For Fine Art Photography, Fort Collins Colorado. A big thanks to Hamidah Glasgow, Exec director C4FAP. My image is the second column from the left, the single picture. The feedback for this group exhibition has been fabulous and it is becoming a nice travelling show. Stay tuned for the next venue. 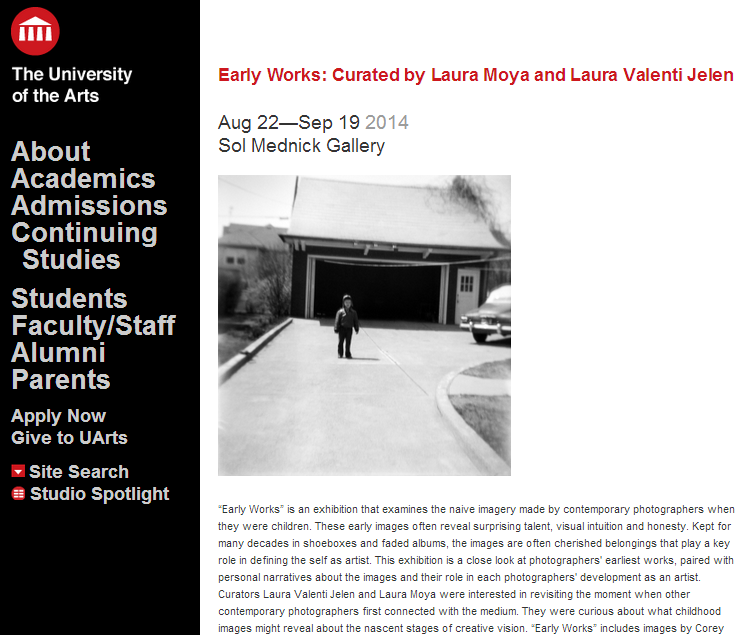 It was very cool to be part of the show at UARTs – University of the Arts in Philadelphia. Below is the exhibition display. I have the lower left side image. A fabulous time with fellow photog and friends. Lots of inspiration! 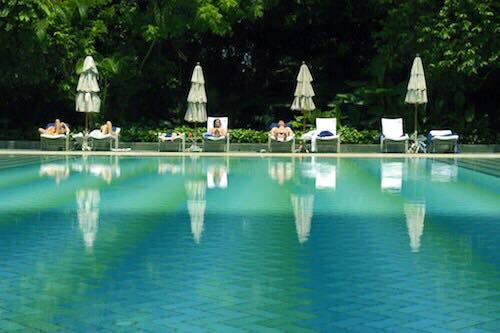 A must-return-visit in 2015. 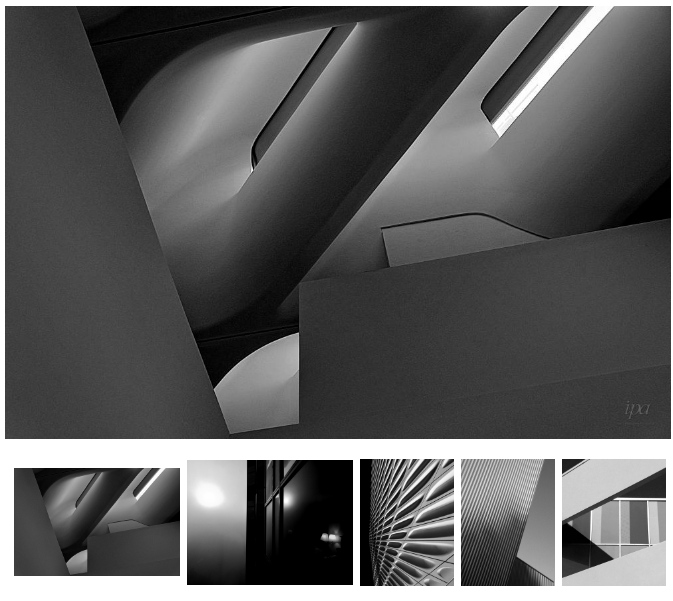 Very pleased and honored to be selected as Honorable Mention in the Architecture category. Please see more here. So jazzed about another group exhibit, this one travels to Philadelphia! Thanks to Laura Valenti Jelen and Laura Moya. Kind of old school, black and white. I like it! 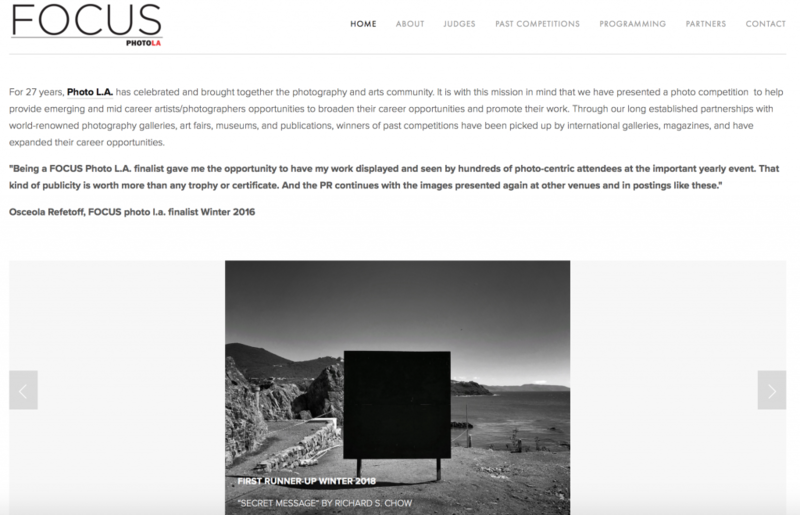 Always a good surprise to get a mention by LensCulture – made it to the Editor’s List with one of my entires for the Emerging Talent 2014 competition. Thank you for the Likes and Reshares. Mark you calendars for the PSPF. Looks to be exciting with lots of happening! 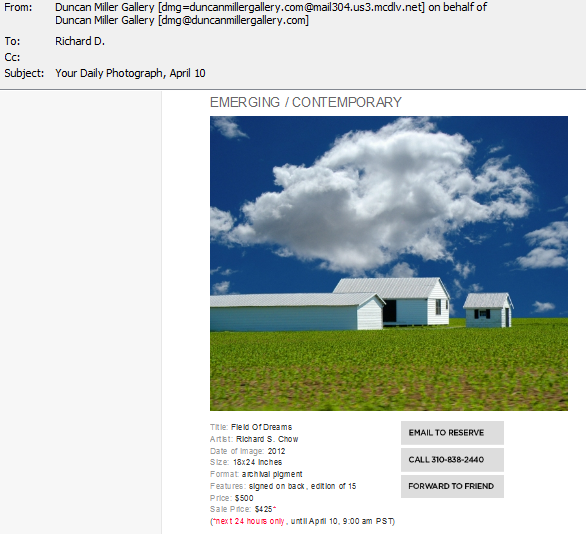 Very please to show at Your Daily Photography today, by Duncan Miller Gallery. See image below. Great price offer from the gallery! Original notice on April 9th. 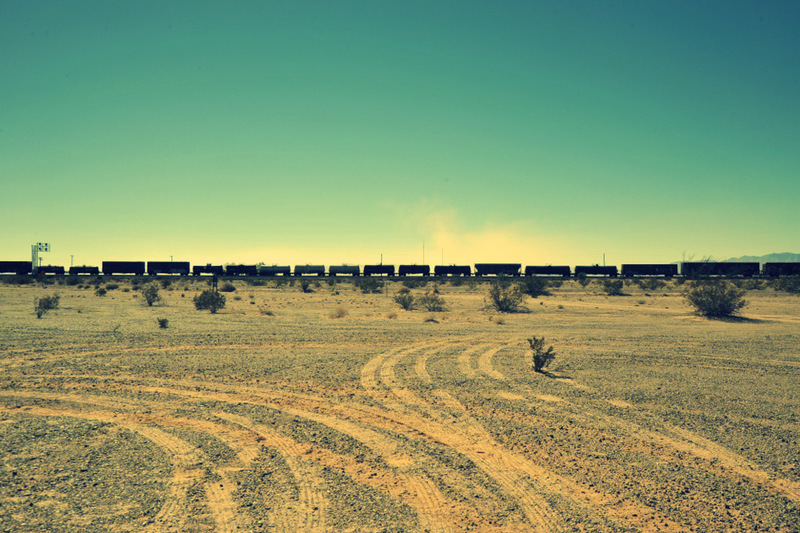 California desert – Near Twenty Nine Palms and Amboy. Early Works exhibit has now been extended to March 28. ! 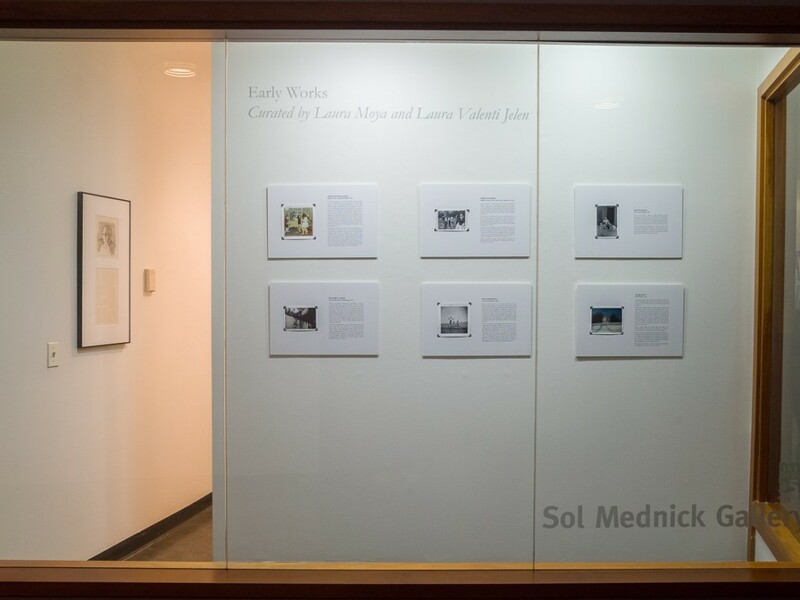 Early Works contains photographs taken by many notable photographers when they were children; each paired with a personal narrative from the photographer recalling the memory of the experience and how it affected them. OPEN SHOW @ photo l.a.
Good to keep track of fellow finalists!! 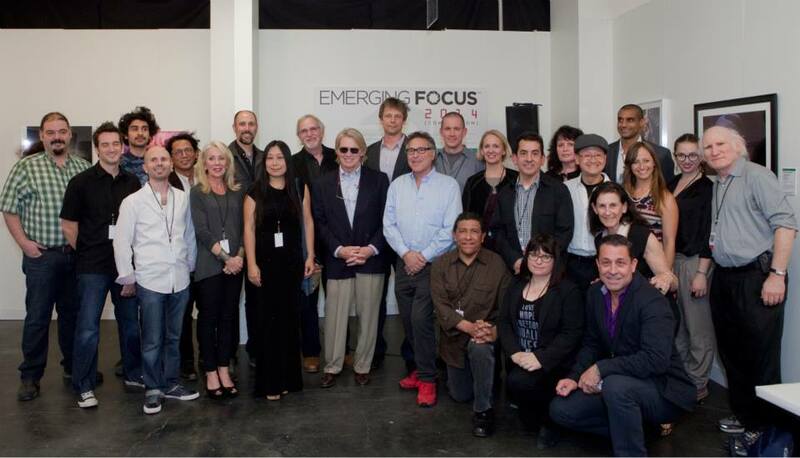 EVENT: EMERGING FOCUS Competition Finalists @ photo l.a.
We are excited to start the New Year with a bang at photo l.a. where it will be at its new location downtown in the LA Mart. Open Show LA proud to continue our partnership with EMERGING FOCUS to hold a special event that will feature artist talks for theEMERGING FOCUS photo contest. The contest winners will be announced on Friday night at photo l.a. and we will host an artist talk event on Saturday afternoon with the winners and finalists. So glad to be included in this exhibit. On-going now until March 1. There are so many compelling stories and images. It is so nice of IPA (International Photography Awards) to tag me! I’m grateful for the social media promote, also done via Twitter, no less! 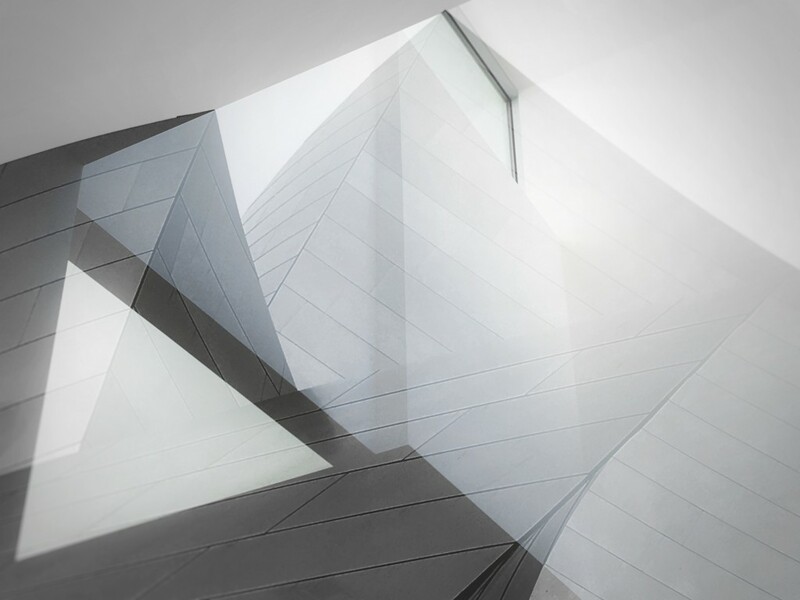 IPA COMMUNITY:CONGRATULATIONS to RICHARD CHOW, 2013 Winner in the Architecture: Cityscapes Category, Non-Pro.Richard’s work is now being represented at photo LA by Duncan Miller Gallery, the Artist’s Corner Gallery and Emerging Focus! Emerging Focus 2014 winners – photo l.a.
See the fellow winners of the Emerging Focus 2014 at photo l.a. Fantastic display of work and talents! And also the 3 judges – Ken Gonzales-Day, Peter Frank, Susan Spiritus. (They happened to be close to me in this picture)! 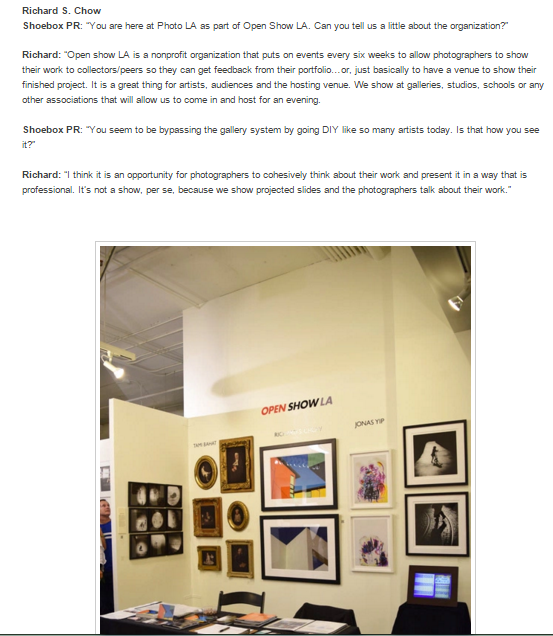 See Press Release recently published for the work in photo l.a.
IPA sharing social media on photo l.a. 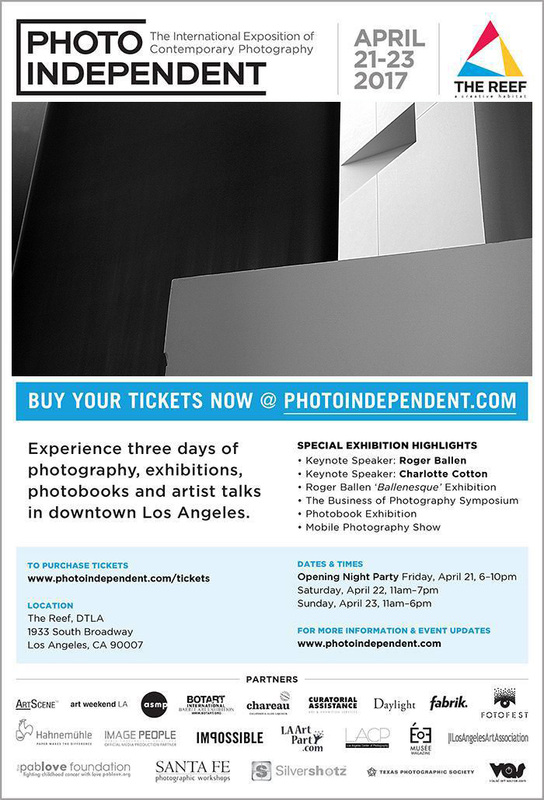 Thanks to IPA for sharing the events at photo l.a. ! Indeed a fantastic photography gallery fair, with amazing work thru out. 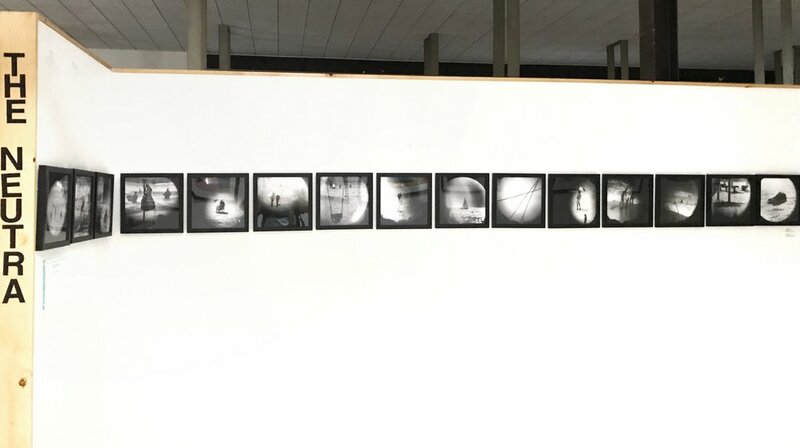 Today (Jan 19) is the last day, if you have not seen please come by! I am both honored and excited to be exhibiting in 3 galleries/booths in photo l.a., as well as an artist talk presented by Open Show. Please see details below. Hope to see you there! · Launch Party | Friday, January 17th, 6pm-8pm | photo l.a. EMERGING FOCUS Exhibition space. Jurists will announce the Grand Prize, Second, and Third Place winners from 20 finalists. 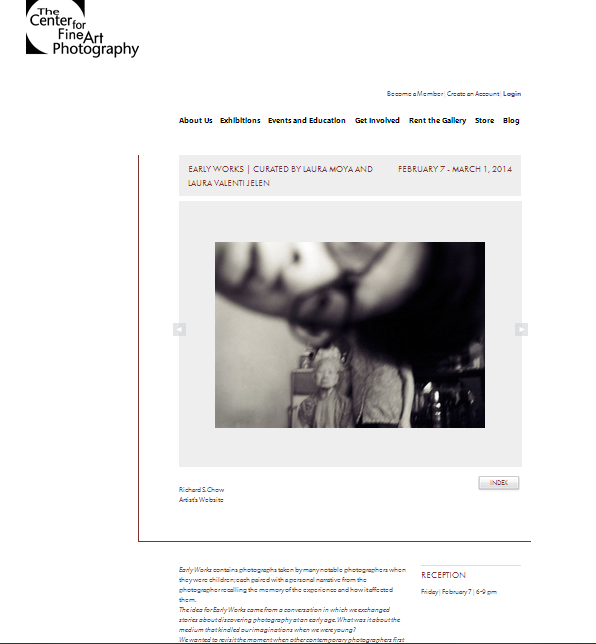 · Also exhibiting at the Artists Corner Gallery in Hollywood, the month of February and March. 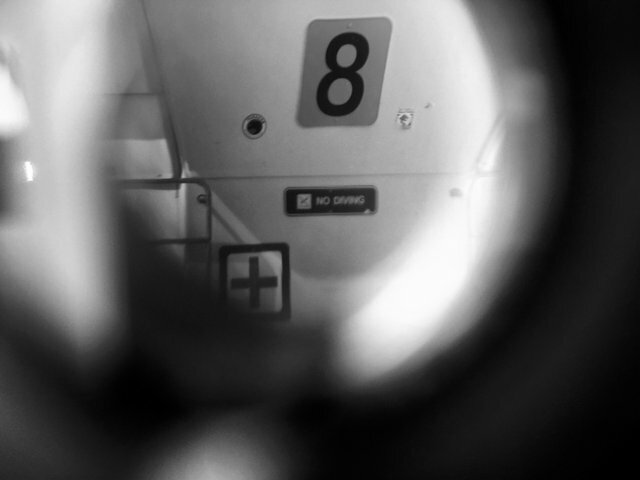 January 16-19, 2014 | photo l.a., Juried by Daniel Miller. At the Duncan Miller Gallery Daily Photograph Booth #521. 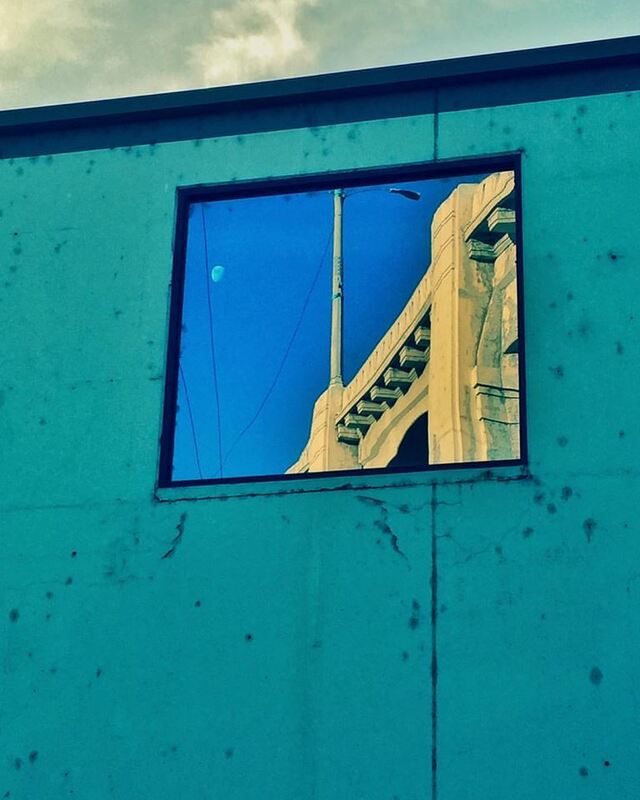 January 18, 2014 at 5:30pm | photo l.a., at the EMERGING FOCUS Exhibition space. 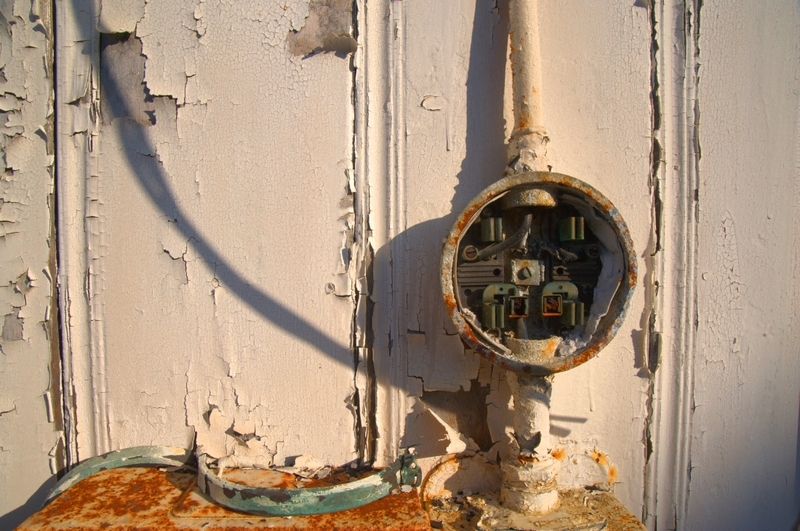 Selected finalist will present a series of images, as well as artist talk about the work.